Automatic Planning and Guidance for Trauma Surgery – New Paper by Runze Han et al. Percutaneous screw fixation in pelvic trauma surgery is a challenging pr ocedure that often requires long fluoroscopic exposure times and trial-and-error insertion attempts along narrow bone corridors of the pelvis. A recent paper by Runze Han (PhD student in Biomedical Engineering at Johns Hopkins University) and colleagues at the I-STAR Lab reported a system to automatically plan surgical trajectories using preoperative CT and assist device placement by augmenting the fluoroscopic scene with planned trajectories. 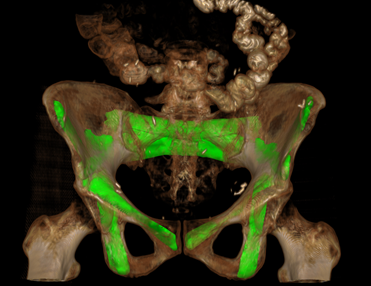 The system utilizes a pelvic shape and surgical trajectory atlas now available in the public domain at https://istar.jhu.edu/downloads/. The system does not require segmentation of the patient CT, operates without additional hardware (e.g., tracking system), and is consistent with common workflow in fluoroscopically guided procedures. Such a system has the potential to reduce operating time and radiation dose by minimizing trial-and-error in surgery. The paper was published in Physics in Medicine and Biology, 2019. Accurate image registration is essential to the accuracy and precision of image-guided interventions. Despite the importance of this step, relatively little is known from a fundamental, mathematical basis of how image quality and other factors affects the accuracy of registration. A recent paper by Michael Ketcha (PhD student in Biomedical Engineering at Johns Hopkins University) and colleagues at the I-STAR Lab reported a statistical model that incorporates image quality factors (noise and spatial resolution) as well as the deformation of soft-tissue structures on the performance of registration of rigid bone anatomy. The paper shows a generalized noise model that includes both quantum noise and deformed soft-tissue as noise sources, and the effects on registration accuracy are quantified for various 3D-3D (CT-to-CT) and 3D-2D (CT-to-radiograph) registration scenarios. The model accurately predicted the impact of soft-tissue deformation on rigid registration error and provided a useful, general guide to selection of similarity metrics that are robust to the influence of deformation. Such a model provides an important theoretical basis for guiding the selection of image acquisition and processing parameters and informing the development of improved registration methods. The paper was published in IEEE Transactions on Medical Imaging. Ketcha, M. D., T. De Silva, R. Han, A. Uneri, G. Kleinszig, S. Vogt, and J.H. Siewerdsen. “A Statistical Model for Rigid Image Registration Performance: The Influence of Soft-Tissue Deformation as a Confounding Noise Source.” IEEE Trans. Med. Imag. (In Press). 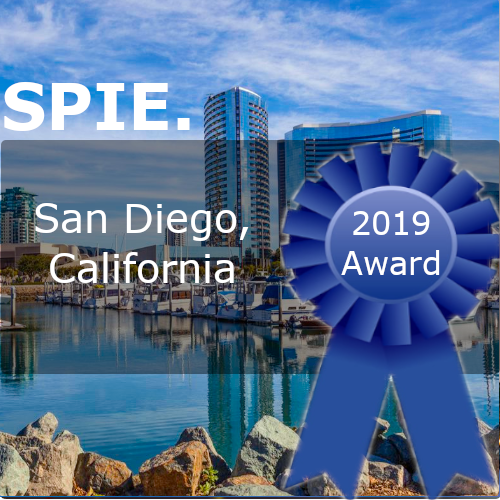 The annual SPIE Medical Imaging Conference held in San Diego, California featured over 1,000 presentations including many from Johns Hopkins researchers on advances in medical imaging physics, analysis, and image-guided procedures. 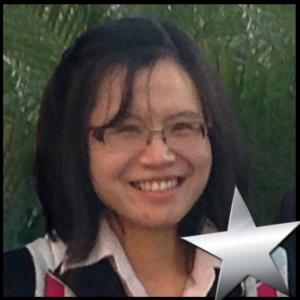 Three from Hopkins BME earned special distinction: Wenying Wang (BME PhD student advised by Dr. Web Stayman), Rohan Vijayan (BME PhD student advised by Dr. Siewerdsen), and Xiaoxuan ‘Esme’ Zhang (Research Scientist at the Carnegie Center for Surgical Innovation). 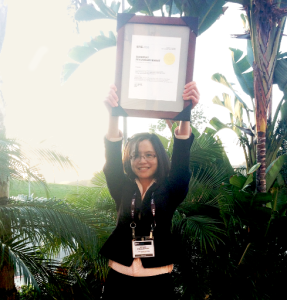 PhD student Wenying Wang was the winner of the Robert Wagner Best Student Paper award. 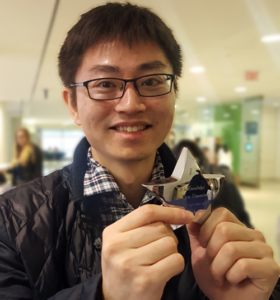 Wenying’s research aims to reduce dose and improve image quality in CT using a multiple aperture devices (MADs) for x-ray intensity modulation. Her work combines advanced instrumentation (precisely controlled multi-aperture collimators) with new methods for model-based image reconstruction (MBIR). 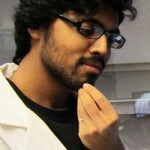 PhD student Rohan Vijayan was the finalist of the Robert Wagner Best Student Paper award. Rohan is developing an algorithm to automatically define the trajectory of instrumentation delivered in spine surgery. His work has produced an automated method based on atlas registration. His presentation at SPIE showed that the algorithm performed well in simulation, cadaver studies, and the first clinical studies. The method could streamline surgical procedures and improve the accuracy of robot-assisted screw placement. 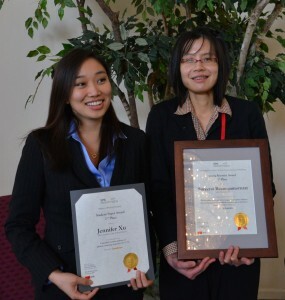 Research Scientist Xiaoxuan Esme Zhang was the runner up of the Young Scientist Award. Esme is working on a CT image reconstruction algorithm that improves visualization of patient anatomy and reduces radiation exposure during image-guided procedures. Esme’s research not only shows the potential for improved image quality and reduced dose but also the ability to precisely visualize the placement of surgical instrumentation, which would be conventionally challenged by “metal artifacts.” Her work was the first to apply the algorithm in clinical studies, showing promising image quality results for patients undergoing spine surgery. New medical imaging systems, algorithms, and applications are shaping the future of image-guided interventions and diagnostic radiology. 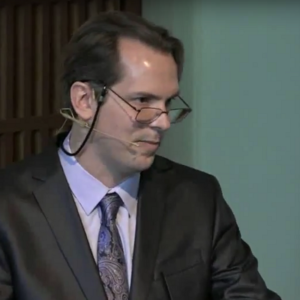 In this video, Dr. Siewerdsen – among the BME Pioneers in medical imaging – describes new imaging technologies that are among the most vibrant areas of biomedical imaging research, offering major impact in translation to clinical use. Watch Jeff’s “Pioneer” YouTube video at the following link and other BME Pioneers here. Cone-beam CT (CBCT) systems commonly incorporate a flat-panel detector (FPD) with multiple-gain readout capability to reduce electronic noise and extend dynamic range. Such systems are important to improving CBCT image quality and reducing dose, but they introduce an interesting challenge to model-based 3D image reconstruction methods regarding the level of electronic noise. A recent paper by Pengwei Wu (PhD student in Hopkins BME) reports a method that includes electronic noise in the model for 3D image reconstruction and improves image quality in CBCT of the head. 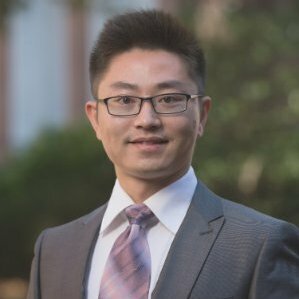 A recent paper by Pengwei Wu (PhD student in Biomedical Engineering at Johns Hopkins University) and colleagues at the I-STAR Lab reported a penalized weighted least-squares (PWLS) method for CBCT image reconstruction with a system model that includes the electronic noise characteristics of FPDs, including systems with dynamic-gain or dual-gain (DG) readout in which the electronic noise is spatially varying. 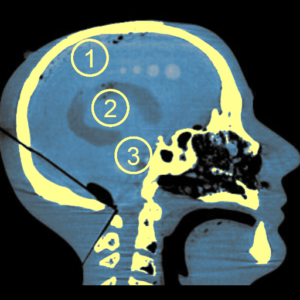 The methods were tested in phantom studies designed to stress DG readout characteristics and translated to a clinical study for CBCT of patients with head traumas. The PWLS^DG method demonstrated superior noise-resolution tradeoffs compared to filtered back-projection (FBP) and conventional PWLS. Statistical weights in PWLS were modified to account for the contribution of the electronic noise (algorithm denoted PWLS^DG), and the method was combined with a certainty-based approach that improves the homogeneity of spatial resolution (algorithm denoted PWLS_Cert^DG). These findings were confirmed in clinical studies, which showed ~20% variance reduction in peripheral regions of the brain, potentially improving visual image quality in detection of epidural and/or subdural intracranial hemorrhage. The results are consistent with the general notion that incorporating a more accurate system model improves performance in optimization-based statistical CBCT reconstruction – in this case, a more accurate model for (spatially varying) electronic noise to improve detectability of low-contrast lesions. Citation Pengwei Wu, Joseph Webster Stayman, Alejandro Sisniega, Wojciech Zbijewski, David Foos, Xiaohui Wang, Nafi Aygun, Robert Stevens and Jeffrey H. Siewerdsen. A recent paper by Niral M. Sheth and colleagues at the I-STAR Lab investigates the performance of a low-noise, high-resolution CMOS flat-panel x-ray detector for C-arm fluoroscopy and cone-beam CT (CBCT). A pair of mobile C-arms was used in the work – one outfitted with a conventional detector based on a hydrogenated amorphous silicon (a-Si:H) array of sensors and thin-film transistors (TFTs) and the other with a CMOS detector offering finer pixel pitch, faster readout, and lower electronic noise. The study included a quantitative technical assessment of 2D and 3D imaging performance as well as realistic imaging scenarios in interventional radiology, orthopaedic surgery, vascular surgery, and neurosurgery. Both detectors incorporated a crystalline CsI:Tl scintillator. The benefits of low electronic noise and improved spatial resolution were especially evident under low-dose imaging conditions and for imaging tasks involving high spatial frequencies – for example, visualization of stents and other interventional devices. The quantitative technical assessment included evaluation of 2D imaging performance pertinent to fluoroscopic imaging (dark noise, gain, linearity, image lag, modulation transfer function (MTF), noise-power spectrum (NPS), and detective quantum efficiency (DQE)) as well as 3D imaging performance in CBCT (image uniformity, 3D MTF, 3D NPS, 3D noise-equivalent quanta (NEQ)). Realistic imaging scenarios were emulated using cadaver specimens and an array of interventional devices and instrumentation for interventional radiology (lines and catheters), orthopaedic surgery (K-wires and screws), vascular surgery (balloons and stents), and neurosurgery (intracranial shunts and aneurysm coils). The qualitative assessment of resulting images helped to confirm and interpret the technical findings, including the conditions under which the two detectors provided images that appeared functionally equivalent and those for which CMOS performance advantages were visually evident with respect to a particular clinical task. Niral M. Sheth, Wojciech Zbijewski, Matthew W. Jacobson, Godwin Abiola, Gerhard Kleinszig, Sebastian Vogt, Stefan Soellradl, Jens Bialkowski, William S. Anderson, Clifford R. Weiss, Greg M. Osgood, and Jeffrey H. Siewerdsen. 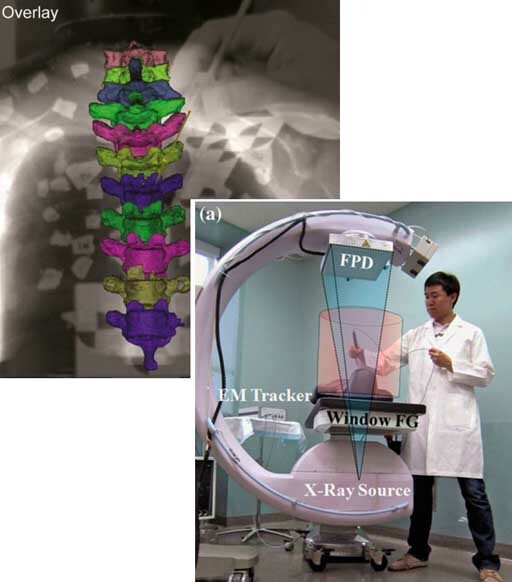 Mobile C‐Arm with a CMOS detector: Technical assessment of fluoroscopy and Cone‐Beam CT imaging performance Med Phy. 2018 Oct 19. doi: 10.1002/mp.13244. A new paper by Amir Manbachi and colleagues at the I-STAR Lab and collaboration with the Department of Neurosurgery at Johns Hopkins Hospital tests the utility of the LevelCheck algorithm for automatic labeling of vertebrae in x-ray radiographs acquired during spine surgery. Although considered a “never-event,” wrong-level spine surgery occurs at a surprising rate, estimated to be the second most frequent form of wrong-site surgical errors. The LevelCheck algorithm could assist with this challenge by automatically mapping information defined in a patient’s preoperative CT image (where vertebrae can be reliably labeled) to the intraoperative x-ray image (where vertebrae can be difficult to visualize clearly). In their recent paper, Manbachi and co-authors performed two main studies. The first was a laboratory study designed to evaluate the better implementation of LevelCheck within surgical workflow – either as an independent check (after the surgeon makes his or her own decision on target localization) or as an active assistant in which LevelCheck labels are shown during image interpretation. Both methods were found to reduce the rate of localization error in especially challenging cases and improve confidence in the decision. The second experiment was an online clinical study conducted under IRB approval at Johns Hopkins Hospital. In that study, 20 patients were imaged during spine surgery, and the LevelCheck algorithm was found to reliably label vertebrae in each case, and surgeon feedback indicated that the algorithm improved confidence in target localization even when the algorithm was confirmatory of their original decision. Manbachi A, De Silva T, Uneri A, Jacobson M, Goerres J, Ketcha M, Han R, Aygun N, Thompson D, Ye X, Vogt S, Kleinszig G, Molina C, Iyer R, Garzon-Muvdi T, Raber MR, Groves M, Wolinsky JP, Siewerdsen JH. “Clinical Translation of the LevelCheck Decision Support Algorithm for Target Localization in Spine Surgery,” Ann Biomed Eng. 2018 Jul 26. doi: 10.1007/s10439-018-2099-2. A paper by Dr. Ali Uneri andcoauthors investigates 3D image quality and potential for radiation dose reduction using iterative model-based image reconstruction (MBIR). His work includes a comprehensive analysis of dosimetry for standard imaging protocols on the Medtronic O-arm and uses MBIR (penalized likelihood estimation with a Huber penalty) to achieve improved soft-tissue contrast resolution and dose reduction. The MBIR methods were found to increase soft-tissue contrast-to-noise ratio (CNR) by nearly 50% compared to conventional filtered backprojection without loss of spatial resolution. Using custom low-dose protocols, the performance of MBIR was even higher, showing nearly a factor of 2 increase in CNR comparead to FBP when dose was reduced by a factor of 2 from standard clinical protocols. The work demonstrates the potential of MBIR for improving image quality and reducing dose in image-guided surgery and has motivated translation of the methodology to clinical studies, now underway. The paper was published in the Medical Physics journal – link – with presentation of the work at the SPIE Medical Imaging conference, 2018. Fast, accurate assessment of blood flow and neurovascular structures is essential to effective treatment of stroke. 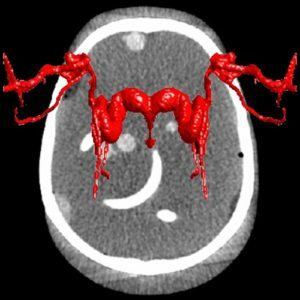 The front-line technology for imaging vascular occlusion or hemorrhage is CT. Mobile systems for cone-beam CT (CBCT) could provide advantages for timely assessment at the point of care. A recent paper by Pengwei Wu (PhD student in Biomedical Engineering at Johns Hopkins University) published in the journal of Physics in Medicine and Biology applies a new 3D image reconstruction technique called “Reconstruction of Difference” (RoD) to allow accurate 3D angiographic imaging in CBCT. With coauthors from the I-STAR Lab and Departments of Radiology and Neurology at Johns Hopkins Hospital, the RoD method helps to overcome challenges arising from the relatively slow rotation speed and data sparsity (fewer projections) in CBCT. With initial results reported in the Master’s Dissertation by coauthor Michael Mow, the paper reports a number of important findings. First is a fast 3D digital simulation framework allowing efficient simulation of bloodflow in the brain, overcoming conventional bottlenecks of brute-force volumetric forward projection. Pengwei used the simulation framework to show the advantages of RoD over conventional filtered backprojection (FBP) and penalized likelihood (PL) reconstruction methods over a broad range of imaging conditions. He also used a recently developed prototype CBCT scanner for high-quality imaging of the brain to test the methodology in a phantom under realistic imaging conditions.The RoD method improved the accuracy of 3D angiographic images by ~50% compared to FBP and by ~30% compared to PL, and the studies identified optimal scan protocols for the RoD approach to balance tradeoffs among scan speed and data sparsity. An example scan protocol showing good results with RoD involved just 128 projections acquired over a semicircular (pi + fan) orbit in 8.5 seconds. The results point to the feasibility of 3D angiography on low-cost, portable CBCT systems enabled by advanced 3D image reconstruction methods such as RoD. Future work includes optimization of the contrast injection protocols and investigation of CBCT perfusion imaging. Pengwei Wu, Joseph Webster Stayman, Michael Mow, Wojciech Zbijewski, Alejandro Sisniega, Nafi Aygun, Robert Stevens, David H Foos, Xiaohui Wang, and Jeffrey H Siewerdsen, “Reconstruction-of-difference (RoD) imaging for cone-beam CT neuro-angiography,” Phys Med Biol (in press; available online May 3, 2018). A large library of rigid-body marker designs for research in surgical navigation is now available HERE. – version 1.0 of the Dynamic Reference Frame (DRF) library. Alisa Brown (Department of Biomedical Engineering, Johns Hopkins University) developed the library with support from the STAR Program for Undergraduate Research at JHU. The DRF library includes 10 groups of rigid-body markers – each with up to 10 tools each – compatible with infrared tracking systems from Northern Digial (NDI). 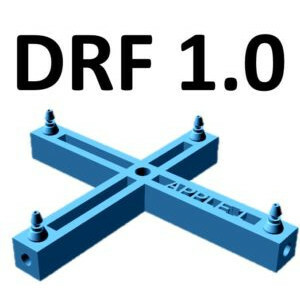 A multitude of distinct, simultaneously trackable DRF designs are included in he library, along with CAD files suitable to 3D printing and tool definition files. 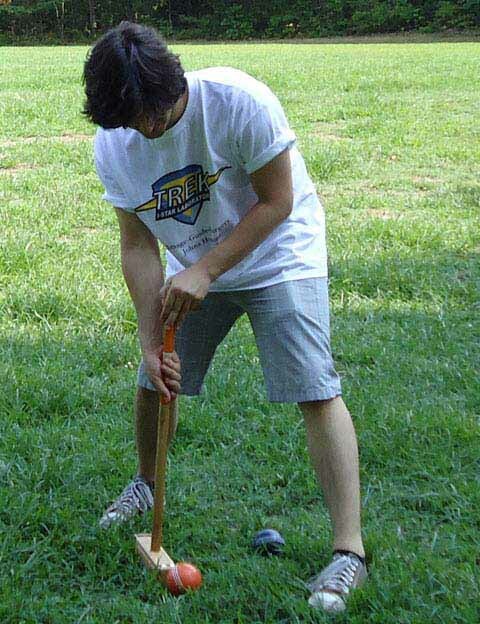 The tools are for research purposes only. 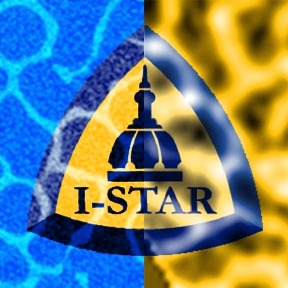 The library is available on the I-STAR Downloads Page. A complete technical description of the library is provided in the journal paper published in the Journal of Medical Imaging, February 2018. 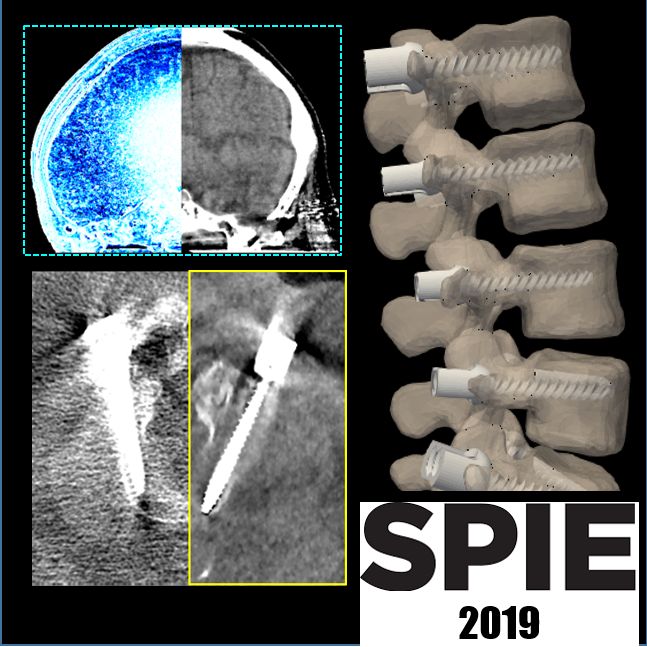 The annual SPIE Medical Imaging Symposium held in February 2018 features 14 talks from the I-STAR Lab and collaborators in Biomedical Engineering, Radiology, Neurosurgery, and Orthopaedic Surgery at Johns Hopkins University. Selected for a distinguished presentation in the Image-Guided Interventions conference, Thomas Yi, a graduate of Hopkins BME mentored by Dr. Ali Uneri presents his work on x-ray-guided robot-assisted spine surgery. Thomas’ research uses 3D-2D registration to automatically position a robotic drill guide for high-precision placement of spinal pedicle screws. 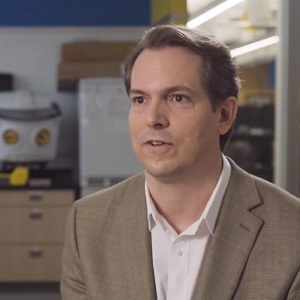 His work offers an advance beyond conventional approaches to robotic assistance in a way that is more accurate in the presence of deforming anatomy and operates without additional optical markers and surgical trackers. Alisa Brown’s work was also selected for a distinguished presentation in Image-Guided Interventions. Alisa will report on the design and validation of a large, open-source library of rigid-body markers for surgical navigation. 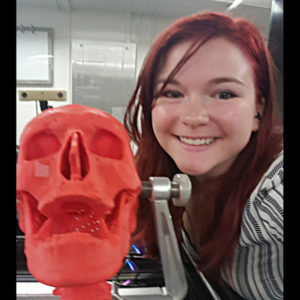 Her work yielded a library of dynamic reference frames that can be produced using a 3D printer and facilitates research and development in surgical navigation using multiple tracked tools. Runze Han, a PhD student in Hopkins Biomedical Engineering supervised by Dr. Siewerdsen, describes a method for automatically planning surgical approach in pelvic trauma surgery. Using a 3D atlas of pelvic shapes and reference paths representing ideal surgical trajectories in trauma fixation, the method registers the atlas information to a patient’s CT image in a manner that provides automatic planning and visualization of ideal trajectories. Combined with intraoperative fluoroscopy or cone-beam CT, the method provides a means for guidance and quality assurance of K-wire placement in trauma surgery. Niral Sheth, a Research Scientist at the Carnegie Center for Surgical Innovation, reports on the imaging performance of an intraoperative C-arm incorporating a high-performance CMOS x-ray detector. The new detector offers higher levels of spatial resolution, lower electronic noise, and higher frame rate. Niral measured the improvements in resolution, noise, and NEQ in fluoroscopy and cone-beam CT and validated the findings in cadaver studies in collaboration with the Department of Radiology, Neurosurgery, and Orthopaedic Surgery. Ali Uneri, a postdoctoral fellow at the Carnegie Center for Surgical Innovation, reports findings from his work using model-based image reconstruction (MBIR) on the Medtronic O-arm. The iterative reconstruction methods are shown to improve soft-tissue image quality and reduce radiation dose in image-guided surgery. Combined with novel methods for deformable 3D2D and 3D3D image registration, his work promises to expand the availability of high-precision surgical techniques to new clinical applications. 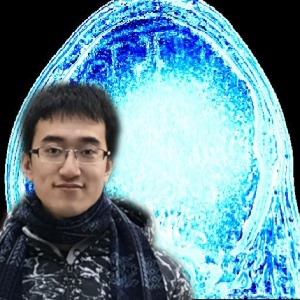 Pengwei Wu, a PhD student in Hopkins Biomedical Engineering supervised by Dr. Siewerdsen, reports on the Reconstruction-of-Difference (RoD) algorithm for cone-beam CT neuro-angiography. Pengwei’s work shows how the RoD 3D image reconstruction method is more robust than conventional approaches under conditions of data sparsity or inconsistency, offering to expand the utility of cone-beam CT in angiographic applications. Wenying Wang, a PhD student in Hopkins Biomedical Engineering supervised by Dr. Web Stayman in the AIAI Lab, reports a model for spatial resolution and noise in flat-panel detector cone-beam CT images reconstructed using penalized likelihood estimation. 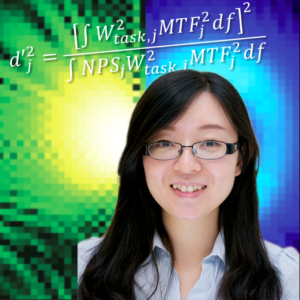 Wenying’s work yields predictive models that accurately describe the modulation transfer function (MTF) and noise-power spectrum (NPS) for iterative reconstruction methods yielding non-stationary signal and noise characteristics. Hao Zhang, a postdoctoral fellow in the AIAI Lab, reports a method for prospectively selecting key parameters in prior-image-based 3D image reconstruction in a manner that reliably controls the influence of new and prior image information in MBIR. Hao’s work offers to improve image quality and reduce dose in longitudinal imaging / screening of lung cancer, and it provides an important advance in stable, reliable reconstruction methods using prior image information. Qian Cao, a PhD student in Hopkins Biomedical Engineering supervised by Dr. Wojciech Zbijewski, reports on the high-resolution characteristics of a CMOS detector in cone-beam CT for imaging of bone micro-architecture. 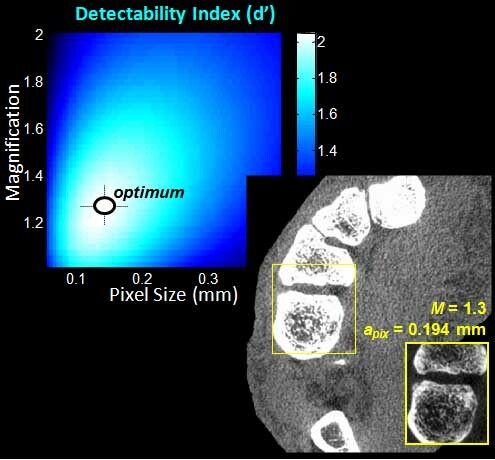 Qian’s work shows how the improved x-ray detector – combined with advanced image reconstruction methods – advances the performance of CBCT to a level sufficient for quantitative assessment of fine subchondral bone structure. Alejandro Sisniega, a Research Associate faculty member at the I-STAR Lab, reports on the influence of curved detector designs in compact geometry CBCT systems, including the importance of antiscatter grid selection and bowtie filter design. Alex’s work shows that CBCT systems with a very compact form can be achieved while mitigating high levels of x-ray scatter – with image quality suitable for imaging of low-contrast intracranial hemorrhage in traumatic brain injury. Michael Brehler, a postdoctoral fellow at the I-STAR Lab supervised by Dr. Wojciech Zbijewski, reports on methods for quantitative analysis of trabecular bone structure in high-resolution cone-beam CT. Michael’s work shows that optimized segmentation methods can yield analysis of bone structure in clinical CBCT images with a high level of correlation to micro-CT.
Michael Ketcha, a PhD student in Hopkins Biomedical Engineering supervised by Dr. Siewerdsen, describes a mathematical model for image registration performance that includes not only the influence of image quality (noise and resolution) but also the confounding influence of soft-tissue deformation. With analogues in statistical decision theory, Michael’s work reveals a sophisticated analytical framework for understanding the performance of various similarity metrics used in image 2D or 3D image registration and analyzing the lower bound in registration performance. Benjamin Ramsay, an undergraduate in Hopkins BME, reports a variation on atlas-based registration in which sub-atlases are used in a series of stages according to similarity in principal component analysis to guide more accurate deformable registration. Using an iterative sub-atlas approach, Ben’s work shows how active shape models and PCA can be used to make better use of limited atlas datasets and improve computational speed. 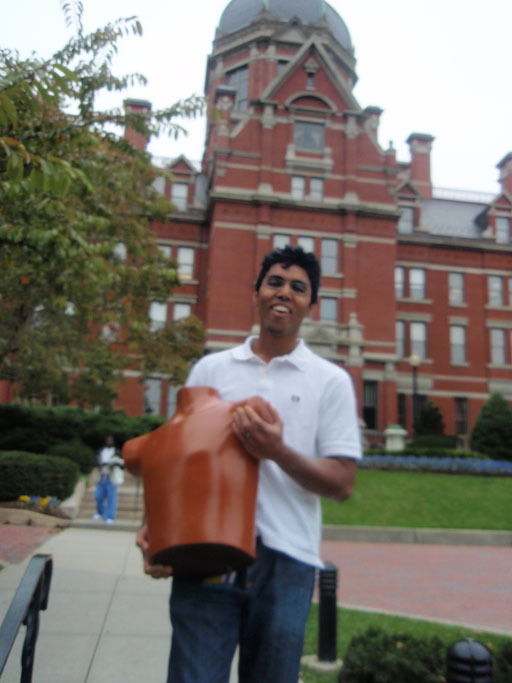 Tharindu De Silva, a postdoctoral fellow at the Carnegie Center for Surgical Innovation, reports on a fast slice-to-volume image registration method for ultrasound imaging in spinal interventions. His work exploits Haar feature analysis for real-time registration performance. By combining the method with 3D registration of ultrasound to preoperative MRI, Tharindu’s work reveals a method for real-time image-based navigation that could improve the precision and safety of needle injections in the spine. 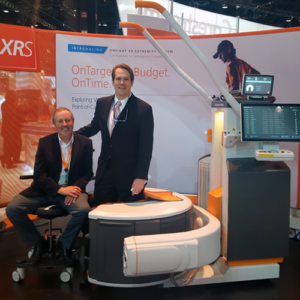 The novel x-ray source arrangement was implemented by collaborators at Carestream Health (Rochester NY) in a prototype scanner developed for high-quality cone-beam CT of the extremities for musculoskeletal radiology and orthopaedic imaging. The scanner was developed in academic-industry partnership (see, for example, earlier papers by Prakash, Zbijewski, and Carrino). The multi-source configuration resulted in a number of positive improvements in imaging performance. For example, the longitudinal field of view (FOV) was increased to ~30 cm length, providing better coverage with more uniform signal and noise characteristics throughout. Cone-beam artifacts were reduced overall due to improved 3D sampling – visually evident as reduced streaks from structures oriented parallel to the source plane (such as articular surfaces) and a reduced null cone in 3D Fourier space. Moreover, the volumetric dose distribution was more evenly distributed for the multi-source configuration. The three-source configuration also permits novel dual-energy CBCT imaging techniques in which the top and bottom source are operated at a beam energy (and added filtration) different from that of the middle source – giving a central volumetric region in which the beams overlap and within which dual-energy material decomposition can be performed. 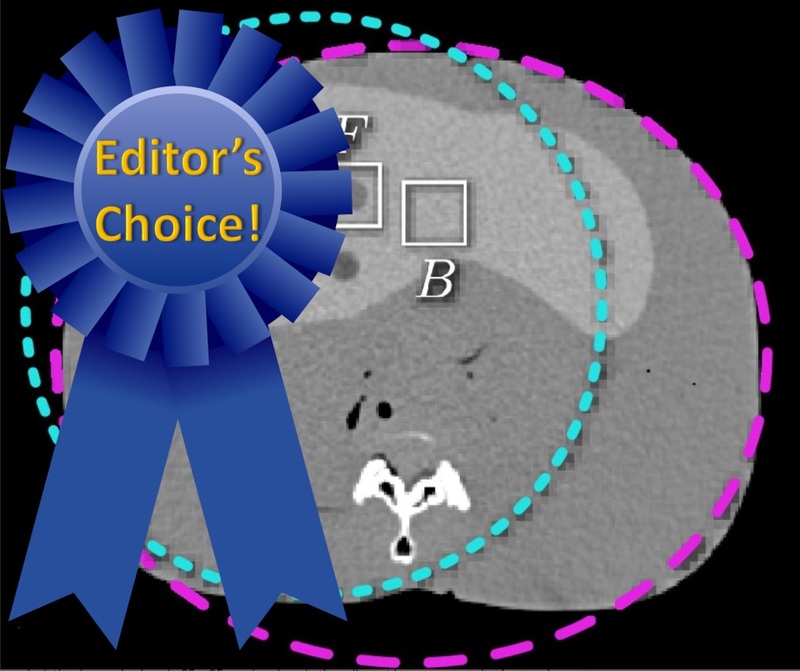 The paper was selected for Editor’s Choice designation, recognizing papers that reflect the highest quality and potential scientific impact. In addition to being highlighted as an Editors’ Choice paper, manuscripts selected for this distinction are published as freely-available articles at no cost (pdf). A new paper by Gang, Siewerdsen, and Stayman develops a mathematical framework for driving the x-ray tube current (mA) modulation, optimizing the spatial distribution of x-ray fluence in each projection, and setting the image reconstruction parameters in a manner that maximizes task-based imaging performance. The paper appears in a special issue of IEEE-TMI on Low-Dose CT. Using models of local spatial resolution (MTF) and noise (NPS) for iterative reconstruction (penalized likelihood estimation, PLE) established in her previous work, the paper uncovers a number of new findings with important implications for reducing dose and improving image quality in CT. Among these is an exciting finding that challenges conventional paradigms of mA modulation. 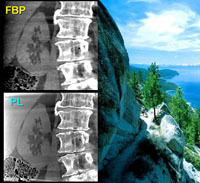 In body CT, for example, conventional methods based on filtered backprojection (FBP) tend to increase tube current in lateral views, where attenuation is highest, to increase detector signal and “make bad views better.” For PLE, however, Gang’s work shows that imaging performance is improved instead by increasing mA in the posterior-anterior views (and reducing mA in lateral views) to “make good views better,” since PLE weights the projection data in proportion to their fidelity (noise level) in the reconstruction process. 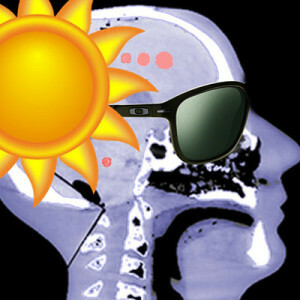 The paper goes beyond mA modulation and includes optimization of the spatial distribution of x-rays in each view – as Dr. Stayman says, “putting photons where they count.” In this respect, the task-driven method prescribes increased fluence through the central, more highly attenuating regions of the patient to yield a relatively constant x-ray fluence incident on the detector. As a result, the optimal reconstruction parameters (namely, the statistical weighting terms) are relatively constant across the data, and the resulting image exhibits more uniform resolution and noise throughout. The paper also tackles the question of multiple imaging tasks – an important question often posed with respect to task-based imaging paradigms – namely, how to optimize the imaging process if there is more than one task? or more than one location of the task? or if one cannot say for certain what the task is? Gang adopts a maxi-min approach that offers a solution: given a plurality of tasks (varying in their spatial location, spatial frequency distribution, etc. ), maximize the minimum detectability throughout the image for all tasks. Thus, the optimal acquisition and reconstruction process is that which yields the least worst performance overall, and the principle can be extended to a general description of all possible locations and/or all possible tasks. On November 16, 2017, Dr. Jeff Siewerdsen gave a lecture at the Nobel Forum in Stockholm entitled Advances in 3D Imaging and Registration for Image-Guided Interventions together with Dr. Nicholas Theodore, who discussed advances in Robot-Assisted Surgery. Dr. Siewerdsen discussed emerging areas of 3D imaging, image registration, and data-intensive approaches to improving the precision and safety of surgery. 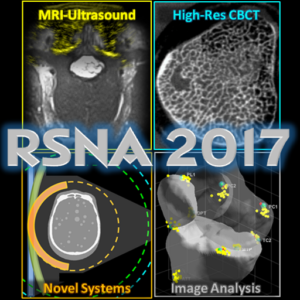 Eight presentations from the I-STAR Lab at the 2017 annual meeting of the RSNA (Chicago, IL) include the latest research on cone-beam CT, image registration, and analysis. Dr. Jeff Siewerdsen‘s seminar (E352, Sunday 11/26 at 2:00 pm) provides an update and continuing education review of “Open Gantry CT Systems,” including C-arms for 3D image-guided interventions and novel emerging platforms for high-quality cone-beam CT at the point of care. PDF handouts from Dr. Siewerdsen’s presentation are available here. Qian Cao‘s presentation (PHS-MOB, Monday 11/27 at 12:45 pm) is on the topic of “High-Resolution Extremity Cone-Beam CT with a CMOS X-Ray Detector,” showing how an imaging physics model was used to optimize a new imaging system under development for high-resolution imaging of bone health. Gaurav Thawait gives two oral presentations – the first (E451B, Monday 11/27 at 3:10 pm) on “Motion Compensation in Cone-Beam CT,” showing a novel auto-focus method to overcome even sub-mm involuntary motion in high-resolution imaging for MSK radiology, and the second (S404AB, Monday 11/27 at 3:50 pm) on the use of CBCT for “Evaluation of Bone Erosions in Rheumatoid Arthritis,” including results from a recent clinical study. Alejandro Sisniega‘s talk (S403A, Monday 11/27 at 3:40 pm) shows how “Flat and Curved System Geometries” pose important considerations for x-ray scatter, dose, and the design of novel compact imaging systems. Tharindu De Silva presents (S403A, Tuesday 11/28 at 3:30 pm) on the topic of “Free-Hand Ultrasound Registration to MRI” for high-precision guidance of spinal intervention and pain management, showing a novel approach for image registration that leverages a physics model for ultrasound image formation to drive accurate alignment with preoperative MRI. Wojciech Zbiweski‘s seminar (N229, Wednesday 11/20 at 9:00 am) covers the latest advances in CT imaging in MSK Radiology and Orthopaedics, including novel cone-beam CT systems developed for high-resolution, weight-bearing imaging as well as dual-energy imaging and methods for analyzing morphological structure at both macroscopic and microscopic levels of detail. Finally, Michael Brehler provides a talk (S403B, Thursday 11/30 at 10:40 am) on the topic of “Automatic Algorithm For Joint Morphology Measurements In Volumetric Musculoskeletal Imaging,” detailing shape analysis and atlas-based methods for automatically computing important metrics of joint morphology in images of the weight-bearing knee. 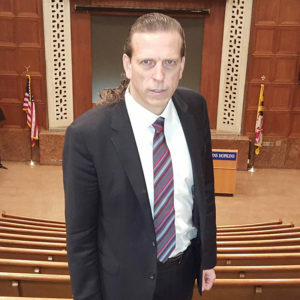 Dr. David Jaffray delivered the Distinguished Lecture in Biomedical Engineering at Johns Hopkins Hospital on November 7, 2017. Dr. Jaffray is Professor of Radiation Oncology, Medical Biophysics, and Biomedical Engineering at the University of Toronto and is Head of Radiation Physics, Director of the Techna Institute, and Executive Vice-President of Technology and Innovation at the University Health Network (Toronto ON). Jaffray led the team that developed the first systems for cone-beam CT guidance of radiation therapy, and he continues to lead technology innovation in broad sectors of imaging, radiation therapy, and information technology. Dr. Jaffray’s lecture was held in historic Hurd Hall at Johns Hopkins Hospital, entitled “From Complexity to Industrialized Medicine: Non-Linear Events in Man’s Affair with Technology.” Jaffray argued that complexity increases in proportion to the ever-increasing density and conglomeration of technology employed within a given process – for example, healthcare delivery – an unsustainable trend that eventually sparks “non-linear” innovation to bury complexity and restore simplicity, efficiency, and effectiveness of the process. Noting examples spanning over a a century of industrialization / technology and communication / computing, he described the imminent need for readiness in our healthcare delivery system for such non-linear innovations likely to emerge in the decade ahead. Jaffray also described how clinical needs for improved patient safety can spark technological innovations that in turn advance capabilities for new forms of medical diagnosis and intervention, which in turn spark new hypotheses and scientific discovery – a cycle of clinical practice, quality improvement, and scientific advancement that speaks to the importance of close collaboration among clinicians and scientists / engineers. He noted several examples from image-guided radiation therapy, where image guidance systems have helped to reduce or eliminate patient setup errors, reducing uncertainties and enabling investigation of new hypotheses on physiological factors of tumor response (for example, hypoxia and interstitial pressure) and driving new treatment techniques to improve tumor control. Finally, Dr. Jaffray conveyed a vision for data science integrated with healthcare delivery – a rapidly approaching future in which the radiology reading room, the surgical theater – indeed the hospital, if not the healthcare system as a whole – could (or must) embrace processes and scientific expertise by which data relating to each patient is continuously captured, curated, and learned in order to improve and streamline delivery and anticipate imminent needs. By analogy to the Star Trek Enterprise, Jaffray described the hospital as a learning machine within which Science and Engineering are integral to “boldly go” where no one has gone before. The Distinguished Lecture in BME was hosted by Dr. Jeff Siewerdsen, with thanks to Dr. Warren Grayson for organizing the lecture series and to Ms. Joyce Bankert and Mrs. MJ Bostic for valuable assistance. Task-Based CT Image Reconstruction: Paper by Hao Dang et al. An image is almost always formed for a specific purpose – or “task” – and models of image quality help us determine the image acquisition, reconstruction, and processing techniques to optimize task performance. For example, to resolve fine details, one could use a finer focal spot and use a high-pass reconstruction filter, whereas to detect subtle low-contrast features, one may need to increase the dose and/or use a smoother filter. The tradeoffs among the numerous factors that govern imaging performance introduce a complex interplay that can be described by physical / mathematical models of task-based image quality, and the need to accomplish one or more specific imaging tasks presents an important optimization problem in the development of new imaging systems. In a paper published in the journal – Physics in Medicine and Biology – Hao Dang and coauthors present a method that combines a model for task-based imaging performance with statistical iterative 3D image reconstruction methods, taking task-based performance as the objective function in optimizing the regularization strength in penalized likelihood estimation. Moreover, Hao’s method recognizes the spatial dependence (“non-stationarity”) of the spatial resolution and image to select regularization strength separately throughout the image to identify an optimum at every point in the image, yielding an image that is optimal to the task at every location. The paper represents the final chapter of Hao Dang’s PhD dissertation in Biomedical Engineering at Johns Hopkins University. Hao applied the method to the task of detecting intracranial hemorrhage with a recently developed cone-beam CT system for point-of-care imaging in the Neurological Critical Care Unit (NCCU). The system could bring high-quality imaging to the bedside in caring for critically ill patients for whom transport to CT scanner can introduce unacceptable risks. The prototype cone-beam CT scanner is portable and could be brought to the patient. Hao’s method for task-based image reconstruction was shown to increase image quality compared to conventional approaches, especially under conditions of low dose and in particular regions of the brain – for example, in deep regions of the skull base, where conventional reconstruction methods can be challenged by high image noise or over-smoothing of the data. The task-driven image reconstruction method was able to better resolve low-contrast simulated brain hemorrhage and is being translated to first clinical studies at Johns Hopkins University. The paper is available at Pub Med and the journal Physics in Medicine and Biology. Coauthors include collaborators at Hopkins BME (Dr. Web Stayman, Dr. Jennifer Xu, Dr. Wojciech Zbijewski, Dr. Alejandro Sisniega, Mr. Michael Mow, and Dr. Jeff Siewerdsen), clinical collaborators in Neuroradiology and Neurology (Dr. Nafi Aygun and Dr. Vassilis Koliatsos), and collaborators at Carestream Health (Dr. Xiaohui Wang and Dr. David Foos). The I-STAR Lab welcomes Dr. Nick Theodore as Co-Director for the Carnegie Center for Surgical Innovation. 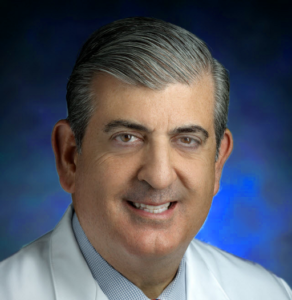 Dr. Theodore is the Donlin M. Long Professor of Neurosurgery at Johns Hopkins University and directs the Johns Hopkins Neurosurgical Spine Center. An internationally recognized expert and innovator in minimally invasive spine surgery and surgical robotics, Dr. Theodore has authored ~200 scientific articles and holds numerous patents for breakthrough devices and procedures for novel treatments of brain and spinal cord injury. He is also an active mentor of surgical trainees and biomedical engineers, including projects at the Carnegie Center, I-STAR Lab, and CBID Program. Research underway includes the development of methods for high-quality, low-dose 3D imaging in the OR, novel surgical guidance methods, advanced, surgical robotics, intraoperative assessment of spinal alignment, and “big data” approaches to improving patient outcomes in spine surgery. Dr. Theodore joins Dr. Siewerdsen in leading the Carnegie Center mission for multi-disciplinary, collaborative research, education, and translation of breakthrough innovations in surgery. Welcome, Nick! Intuitively, the task of registering two images (for example, aligning a preoperative CT image with an intraoperative radiograph or cone-beam CT) must depend on the quality of the images. And it stands to reason that the accuracy of registration will improve with the quality of those images. But what is the connection – exactly – and what are the image quality factors that govern registration accuracy? Spatial resolution? Noise? And are the limits in visual image quality (for example, a low-dose image for which a feature is no longer visible) the same as the lower limits in registration performance? These questions are at the heart of a new paper by Michael Ketcha and co-authors at the I-STAR Lab in Biomedical Engineering at Johns Hopkins University, yielding a theoretical model that links image registration performance with image quality. Models for each have been established in previous work, but the connection between the two has not been well formulated. For example, Michael Fitzpatrick and colleagues established a statistical framework for understanding Target Registration Error (TRE), governed by the Fiducial Localization Error (FLE), Fiducial Registration Error (FRE), and the spatial distribution of fiducials with respect to a target point. Meanwhile, Ian Cunningham and colleagues produced a cascaded systems model for image quality describing the propagation of signal and noise – providing the basis for image quality models describing the tradeoffs among spatial resolution, noise, and dose in flat-panel x-ray detectors, tomosynthesis, and cone-beam CT. Such theoretical models have been invaluable to the development of new imaging and image guidance systems over the last two decades, but the connection between the two – HOW IMAGE QUALITY AFFECTS REGISTRATION ACCURACY – has remained largely unanswered. Michael Ketcha’s paper published in IEEE-TMI in July 2017 derives the Cramer-Rao lower bound (CRLB) for registration accuracy in a manner that reveals the underlying dependencies on spatial resolution and image noise. By analyzing the CRLB as a function of dose, the work sheds light on the low-dose limits of image registration in a manner that could help reduce dose in image-guided interventions, where the task is often one of registration rather than visual detection. The analysis considers the CRLB as the inverse of the Fisher Information Matrix (FIM) and derives the relationship on two main factors. First is the image noise, which depends on dose and may be different in the two images. Second is the power of (sum of squared) image gradients, which is governed by the contrast and frequency content of the subject. 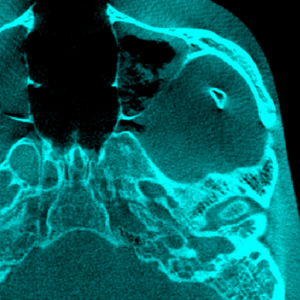 The FIM is thereby related to factors of image noise, resolution, and dose in a manner that permits analysis of the CRLB for a variety of scenarios – including registration of low-contrast soft tissues, high-contrast bone structures, and the effect of image smoothing to improve registration performance. The work is analogous to widespread efforts to identify low-dose limits of visual detectability via models of imaging task. In image-guided interventions, however, the task of registration is often as important (or more important) as the task of visualization, allowing preoperative images and planning information to be accurately aligned with the patient at the time of treatment. Previous experiments by Uneri et al. showed that registration algorithms can perform well at dose levels below that which would normally be considered to yield a visually acceptable image — effects that are borne out by Ketcha’s analysis. Motion Correction for High-Resolution Cone-Beam CT: Paper by Sisniega et al. 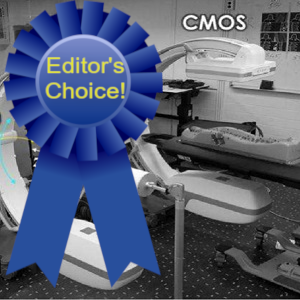 A paper published by Dr. Alejandro Sisniega (Research Associate, Department of Biomedical Engineering) and colleagues at the I-STAR Lab describes a new method for correcting patient motion in cone-beam CT (CBCT). Because CBCT often involves scan times >10 sec (for example, 20-30 sec common in extremity imaging and up to 60 sec in image-guided procedures), patient motion during the scan can result in significant degradation of image quality. Even a few mm of motion can confound the visibility of subtle image features. A variety of methods have been reported in recent years to correct motion artifacts. Dr. Sisniega’s approach involves a purely image-based solution that does not require external motion tracking devices or prior images of the patient. 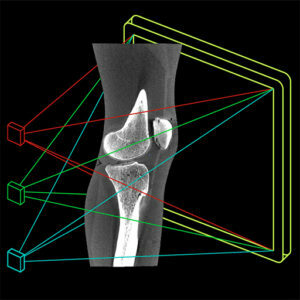 Instead, the patient motion trajectory is derived directly from the image data using a 3D “auto-focus” method that optimizes sharpness of the resulting 3D image. Sisniega evaluated a number of possible sharpness metrics – including total variation and entropy – and showed gradient variance to perform best overall. 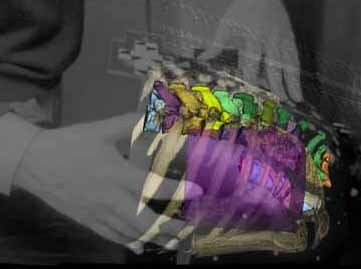 The method uses one or more volumes of interest (VOIs) within which motion can be assumed to follow a rigid trajectory – for example a bone structure – and can support multiple VOIs to independently solve for patient motion across the entire image, even in the presence of complex deformation. For example, in CBCT of the extremities, the method was shown to perform well in images of the knee using 2 VOIs – one for the distal femur and one for the proximal tibia (and optionally, a third for the patella). The method was rigorously evaluated in phantom studies on a CBCT benchtop, showing the ability to recover spatial resolution both in small motions (~0.5 – 1 mm perturbations) and large motions (>10 mm motion during the scan). The algorithm was then tested in clinical studies on an extremity CBCT system in the Department of Radiology and Johns Hopkins Hospital. 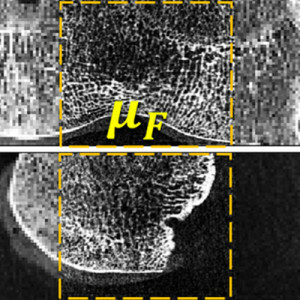 Cases exhibiting significant motion artifacts were identified in retrospective review, and the algorithm was shown to reliably eliminate artifacts and recover spatial resolution sufficient for visualizing the joint space, subchondral trabecular bone, and surrounding soft-tissue features, including tendons, ligaments, and cartilage. The motion correction algorithm is now proving its merit in applications within and beyond musculoskeletal extremity imaging, including CBCT of head trauma and C-arm CBCT, which can also involve long scan times and challenging motion artifacts. In addition to restoring spatial resolution in CBCT of bone morphology, ongoing work shows the algorithm to be important in recovering low-contrast visibility of soft tissues as well. Dr. Sisniega is extending the method to handle complex deformation of soft-tissue structures in the abdomen – tackling one of the major challenges to CBCT image quality in image-guided interventions. Full details of the algorithm and experimental studies can be found in the paper published in the journal of Physics in Medicine and Biology (2017 May 7;62(9):3712-3734. doi: 10.1088/1361-6560/aa6869). 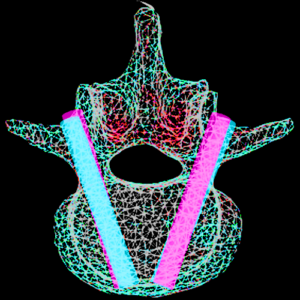 A recent paper by Michael Ketcha and coauthors at the I-STAR Lab reports a method for accurately targeting vertebrae in surgery under conditions of strong spinal deformation. Previous research showed a method by which target vertebrae defined in preoperative CT or MRI can be accurately localized in intraoperative radiographs via the LevelCheck algorithm for 3D-2D image registration. While LevelCheck was shown to provide accurate localization over a broad range of clinical conditions, the underlying registration model is rigid, meaning that it does not account for strong changes in spinal curvature occurring between the preoperative image and the intraoperative scene. Such deformation can be considerable, for example, in scenarios where preoperative images are acquired with the patient in a prone position, but intraoperative images are acquired with the patient laying supine – and sometimes kyphosed or lordosed to improve surgical access. Ketcha’s algorithm extends the utility of the LevelCheck algorithm to such scenarios by developing a “multi-scale” registration process – called msLevelCheck. The multi-scale method begins with a (rigid) LevelCheck initialization and proceeds in a region-of-interest pyramid to successively smaller segments and, in the final stage, about individual vertebrae. 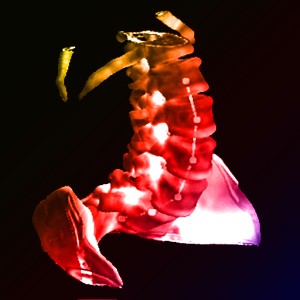 The resulting effect is a deformable transformation of vertebral labels from the preoperative 3D image to the intraoperative 2D image. 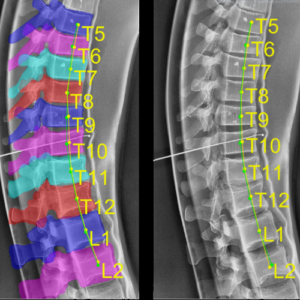 Ketcha’s paper shows the algorithm to be accurate and robust in laboratory phantom studies across a broad range of spinal curvature and includes the first clinical testing of the msLevelCheck approach in images of actual spine surgery patients. Previous research to address such deformation relies on segmentation of structures in the 3D preoperative image – a potentially time-consuming process that introduces additional workflow and potential source of error – to effect a “piece-wise rigid” registration of individual segmented structures. The msLevelCheck approach operates without such segmentation, operating instead directly on image intensities and gradients in an increasingly “local” registration through the multi-scale process to effect a global deformation of the vertebral labels. The algorithm was shown to accurately label vertebrae within a few mm of expert-defined reference labels, offering a potentially useful tool for safer spine surgery. M D Ketcha, T De Silva, A Uneri, M W Jacobson, J Goerres, G Kleinszig, S Vogt, J-P Wolinsky, and J H Siewerdsen, “Multi-stage 3D–2D registration for correction of anatomical deformation in image-guided spine surgery,” Phys Med Biol 62: 4604–4622 (2017). Alisa Brown was awarded a STAR (Summer Training and Research) Program scholarship for her research on the development of new rigid-body marker designs for surgical tracking and navigation. Alisa began research at the I-STAR Lab in 2016 using 3D printing to produce new marker tools for image-guided neurosurgery and orthopaedic surgery. Her research includes the development of a large, open-source library of marker designs to facilitate research in image-guided surgery, particularly for systems involving multiple tracked tools – for example, surgical pointers, endoscope, ultrasound probe, C-arm, and/or patient reference marker. 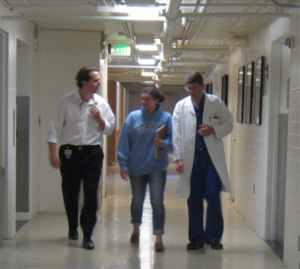 Alisa is a rising senior in the Department of Biomedical Engineering at Johns Hopkins University. 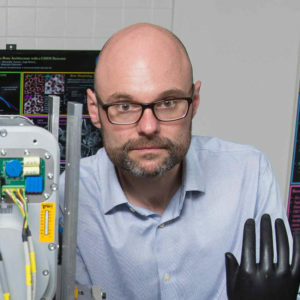 No bones about it: Dr. Wojciech Zbijewski‘s research is breaking new ground in imaging technology and advancing the clinical understanding of conditions affecting the bones and joints. Dr. Z (“Wojtek”) and his team are developing new imaging methods that break conventional barriers to spatial resolution, give quantitative characterization of bone morphology, and shed new light on diseases such as osteoarthritis, rheumatoid arthritis, and osteoporosis. Underlying such advances are new methods for 3D imaging at spatial resolution beyond that of conventional computed tomography (CT). 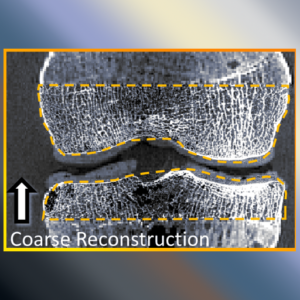 Wojtek and colleagues are combining high-resolution CMOS detectors for cone-beam CT with advanced model-based 3D image reconstruction methods in an NIH R01 project that aims to resolve subtle changes in subchondral trabecular bone morphology as a sign of early-stage osteoarthritis (OA). Conventional methods detect OA only at later stages of cartilage degeneration and bone erosion, when treatment options are limited and often require joint replacement. Collaborators include Dr. Xu Cao (Orthopaedic Surgery) and Dr. Shadpour Demehri (Radiology). Other NIH-funded research in collaboration with Dr. Carol Morris (Orthopaedic Surgery and Radiation Oncology) aims to quantify changes in bone quality following radiation therapy to identify early signs of fracture risk. In collaboration with US Army Natick Soldier Research, Development, and Engineering Center (NSRDEC), Wojtek’s team is developing tools for quantitative image analysis of joint morphology in correlation with factors of injury risk (for example, ACL injury) – tools that have in turn driven new methods for automatic characterization of joint morphology for a variety of musculoskeletal (MSK) radiology applications. In collaboration with Carestream Health, the team includes close collaboration with Dr. Shadpour Demehri (Hopkins Radiology), Dr. Greg Osgood (Hopkins Orthopaedic Surgery), and Dr. Lew Schon (Union Memorial Orthopaedic Surgery) to understand patterns of traumatic injury repair and fracture healing – pushing the limits of cone-beam CT spatial resolution and quantitative capability. Dr. Zbijewski is faculty in the Department of Biomedical Engineering at Johns Hopkins University, with laboratories based at the Johns Hopkins Hospital – I-STAR Laboratory and Carnegie Center for Surgical Innovation. A paper published in the journal of Computerized Medical Imaging and Graphics (CMIG) reports the integration of C-arm cone-beam CT with a low-cost ultrasound imaging probe for needle interventions such as biopsy, tumor ablation, and pain management. The research reports a rigorous characterization of imaging performance for the ultrasound probe (Interson Vascular Access probe), including spatial resolution and contrast-to-noise ratio measured as a function of frequency and depth of field. The work also integrates the ultrasound probe via the PLUS Library for ultrasound-guided interventions, using a 3D-printed geometric calibration phantom and Polaris Vicra tracking system. 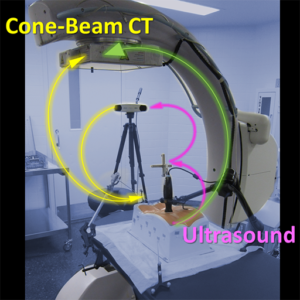 The accuracy of image registration between ultrasound and cone-beam CT was ~2-3 mm at the needle tip, with anticipated improvement to be gained through enhancement of ultasound image quality. The work also demonstrates the potential for multi-modality (ultrasound-CBCT) deformable image registration using normalized mutual information (NMI), cross-correlation (NCC), or modality-insensitive neighborhood descriptors (MIND) similarity metrics. The research was supported by NIH, industry partnership with Siemens Healthcare, and a collaborative PhD student exchange program with the University Hospital Gregorio Marañón and University Carlos III de Madrid, first-authored by Dr. Eugenio Marinetto as part of his doctoral dissertation on advanced image-guided interventions. 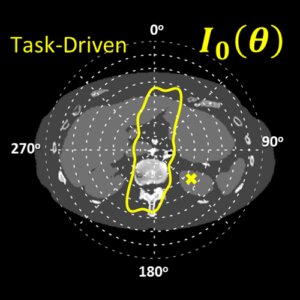 Task-Driven CT: Paper by Grace Gang in Phys Med Biol. A paper published this month in the journal of Physics in Medicine and Biology reports a method that “takes imaging physics to task” to improve CT image quality and reduce dose. Grace Gang and coauthors Jeff Siewerdsen and Web Stayman combined methods for statistical 3D image reconstruction with mathematical models for task-based image quality to drive both the CT image acquisition and reconstruction process in a manner that is optimal to the imaging task. 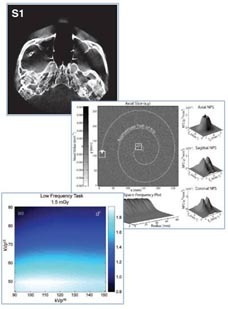 Among the findings is a new approach to tube current modulation that distributes x-ray fluence in a way that is completely different from conventional methods, maximizing imaging performance by reducing tube current in highly attenuating lateral views and instead spending radiation dose in less attenuating views where it has greater benefit to image quality. The result shows how model-based statistical 3D image reconstruction can completely change one’s approach to maximizing image quality. The work also shows how a joint optimization of acquisition technique and image reconstruction parameters is important in reducing radiation dose. The article can be found here and was supported by Dr. Stayman’s U01 grant on low-dose CT imaging. 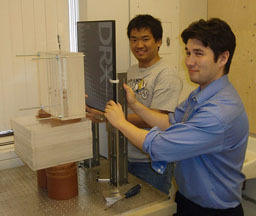 Hao Dang earned his Ph.D. from Johns Hopkins University after successfully defending his dissertation, entitled Model-Based Iterative Reconstruction in Cone-Beam Computed Tomography: Advanced Models of Imaging Physics and Prior Information. His thesis details the development of new model-based iterative reconstruction methods that leverage advanced models of imaging physics, task-based assessment of imaging performance, and patient-specific anatomical information from previously acquired images. The approaches uncovered in his work demonstrate substantial improvements in CBCT image quality for applications ranging from detection of acute intracranial hemorrhage to surveillance of lung nodules. 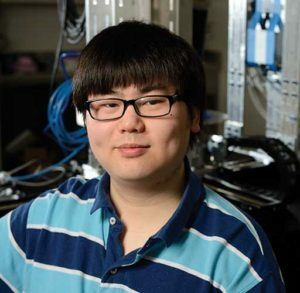 Hao Dang’s doctoral research was carried out in the I-STAR Lab) in Biomedical Engineering under supervision of Prof. Jeffrey H. Siewerdsen (primary advisor) and Prof. J. Webster Stayman (co-advisor). His Ph.D. dissertation focused on the development of new model-based iterative reconstruction methods to improve image quality – specifically, low-contrast, soft-tissue image quality – and reduce radiation dose in cone-beam computed tomography. His Ph.D. research culminated in multiple novel contributions to the field, leading to several published studies and conference presentations and subsequent translation of technology into clinical studies. Hao’s Thesis Committee Members included Dr. Jeffrey H. Siewerdsen (Biomedical Engineering), Dr. J. Webster Stayman (Biomedical Engineering), Dr. Jerry L. Prince (Electrical and Computer Engineering) and Dr. Katsuyuki Taguchi (Radiology). Dr. Joseph Goerres, postdoctoral fellow in the I-STAR Lab and Carnegie Center for Surgical Innovation, recently published a paper in Physics in Medicine and Biology that highlights the challenge of achieving precision guidance in spinal surgery. His work addresses the challenging task of high-precision placement of instrumentation in spine surgery. Screw placement in particular is a challenging task due to the small bone corridors of the spinal pedicle in proximity to nerves and vessels. Spine surgeons benefit from precision guidance and navigation, as well as intraoperative quality assurance (QA) to ensure that each screw is placed safely. Implicit to both surgical guidance and QA is the definition of a surgical plan – i.e., definition of the desired screw trajectories and device selection for each vertebrae. Conventional approaches to surgical planning require time-consuming, manual annotation of preoperative CT or MRI by a skilled surgeon. Dr. Goerres’ paper demonstrates a method for automatically determining both the optimal trajectory and device (screw length and diameter). By leveraging a pre-defined atlas of vertebral shapes and trajectories in combination with deformable 3D registration to the patient’s preoperative image, the method demonstrated accurate, automatic plan definitions that agreed well with those defined by an expert spine surgeon. Michael’s research tackles a largely unanswered, fundamental question in image science: How does the accuracy of image registration depend on image quality? His work yields a theoretical analysis that relates the lower bound in registration accuracy to the spatial resolution and noise in the underlying images, providing new insight on imaging techniques for image-guided interventions. 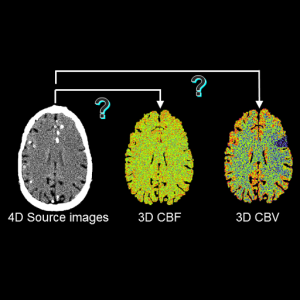 “While imaging performance is fairly well understood for detection and discrimination tasks,” says Michael, “comparatively little has been done to relate image quality factors to the task of image registration.” For CT and cone-beam CT-guided interventions, the methods derived in Michael’s work could lead to methods that involve much lower dose than conventionally used for image visualization but are still well suited to image registration. The work includes analysis of the robustness of various similarity metrics against image quality degradation and reveals a method for optimizing post-processing to minimize registration errors. 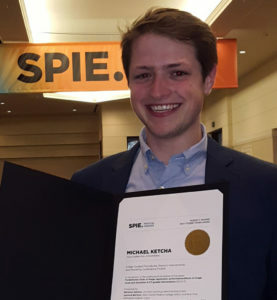 The Young Scientist Award recognizes outstanding work by early career researchers in the SPIE Medical Imaging conference on Image-Guided Procedures, Robotic Interventions, and Modeling. Michael Ketcha is a PhD student in Biomedical Engineering at Johns Hopkins University, advised by Dr. Jeff Siewerdsen in the I-STAR Lab and Carnegie Center for Surgical Innovation. Ali Uneri successfully defended his Ph.D. dissertation, entitled “Imaging and Registration for Surgical Guidance: Systems and Algorithms for Intraoperative C-Arm 2D and 3D Imaging” in December 2016. His work realized methods for mobile C-arm 2D and 3D imaging integrated with surgical navigation and advanced image registration methods. Among the breakthroughs in Ali’s work is the Known-Component Registration (KC-Reg) framework for extracting 3D information from 2D fluoroscopic views to give 3D guidance capability beyond that of conventional surgical tracking. Dr. Üneri conducted his research advised by Dr. Jeff Siewerdsen in the I-STAR Lab, with work encompassing: (1) an extensible software platform for integrating navigational tools with cone-beam CT, including fast registration algorithms using parallel computation on general purpose GPU; (2) a 3D–2D registration approach that leverages knowledge of interventional devices for surgical guidance and quality assurance; and (3) a hybrid 3D deformable registration approach using image intensity and feature characteristics to resolve gross deformation in cone-beam CT guidance of thoracic surgery. His PhD thesis examiners included Prof. Jeff Siewerdsen (Biomedical Engineering), Prof. Russ Taylor (Computer Science), Dr. Jerry Prince (Electrical and Computer Engineering), Dr. Jean-Paul Wolinsky (Neurosurgery), and Dr. Peter Kazanzides (Computer Science). 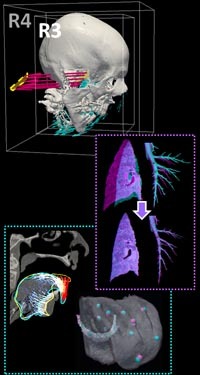 A recent paper published in Physics in Medicine and Biology by Hao Dang and coauthors in the I-STAR Lab reports a multi-resolution CT image reconstruction method that efficiently overcomes truncation effects, which are a particularly important problem in cone-beam CT (which often has limited field of view) and can confound iterative model-based image reconstruction (MBIR) methods. Data truncation in CBCT results in artifacts that reduce image uniformity and challenge reliable diagnosis. For a recently developed prototype CBCT head scanner, truncation of the head and/or head holder can hinder the detection of intracranial hemorrhage (ICH). The multi-resolution method is based on a similar approach shown by Qian Cao and coauthors for orthopaedic imaging, which allows simultaneous high-resolution reconstruction of bone regions and lower-resolution (lower-noise) reconstruction of surrounding soft tissue. In Hao Dang’s paper, a similar concept is used to overcome truncation artifacts by performing a high-resolution reconstruction of the interior with a lower-resolution reconstruction outside the RFOV. 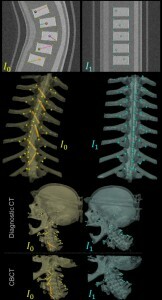 The algorithm was tested in experiments involving CBCT of the head with truncation due to a carbon-fiber head support. Conventional (single-resolution) MBIR, showed severe artifacts and poor convergence properties, and the proposed method with a multi-resolution extension of the RFOV minimized truncation artifacts. Compared to brute-force reconstruction of the larger RFOV, the multi-resolution approach reduced computation time by as much as 95% (for an image volume up to 10003 voxels). Read the full paper in Phys Med Biol here. Sureerat (Ja) Reaungamornrat successfully defended her PhD dissertation, entitled “Deformable Image Registration for Surgical Guidance Using Intraoperative Cone-Beam CT” in December 2016. Her work addresses new methods for deformable image registration in image-guided interventions, including: (1) a hybrid model for resolving large deformations of the tongue in multi-modality image-guided transoral robotic surgery; (2) a free-form registration method with rigid-body constraints on bones moving within an otherwise deformable soft-tissue context; and (3) a modality-insensitive neighborhood descriptor (MIND) method for registering preoperative MRI to intraoperative CT or cone-beam CT. Ja was supervised in both her Master’s and Doctoral work by Dr. Jeff Siewerdsen (Biomedical Engineering), and her PhD thesis examiners included Dr. Jerry Prince (Electrical and Computer Engineering), Dr. Russ Taylor (Computer Science), and Dr. A. Jay Khanna (Orthopaedic Surgery). Jennifer Xu earned her Ph.D. in Biomedical Engineering from Johns Hopkins University. She successfully defended her thesis entitled “Image Quality, Modeling, and Design for High-Performance Cone-Beam CT of the Head” in Hurd Hall Auditorium on November 17, 2016. Her dissertation shows that diagnosis and treatment of neurological and otolaryngological disease rely on accurate visualization of subtle anatomical structures in the head. Her work involved development of high-quality imaging of the head at the point of care to improve timeliness of patient monitoring and reduce risk associated with patient transport to and from the radiology suite. 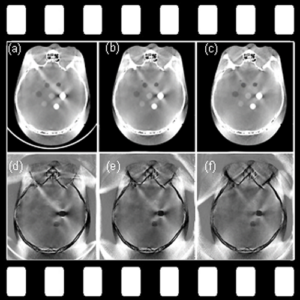 X-ray cone-beam computed tomography (CBCT) presents a promising technology for point-of-care head imaging with relatively low cost, mechanical simplicity, and high spatial resolution; however, CBCT systems are conventionally challenged in imaging of low-contrast structures (e.g., intracranial hemorrhage). 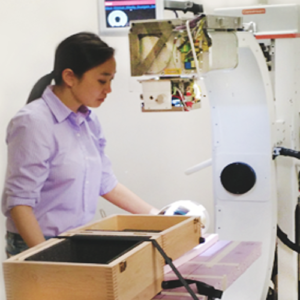 Jennifer Xu’s PhD thesis detailed the design and development of CBCT imaging capability suitable to low-contrast lesion visualization. Her work encompasses physics-based modeling of image quality, system design and optimization, technical assessment of the resulting CBCT prototype CBCT, and translation to first clinical studies in the NCCU. The winner of the 2016 Best New Radiology Device from Aunt Minnie this year began as an industry collaboration betewen Johns Hopkins University and Carestream Health that eventually evolved into a commercial product. The system also won the 2016 Frost & Sullivan Award for New Product Innovation. OnSight 3D is designed to bring advanced 3D imaging to orthopaedic surgeons, musculoskeletal radioloigsts, and rheumatologists. The system allows high-resolution imaging of the extremities, including weight-bearing lower extremities. It also features image processing algorithms for fast 3D image reconstruction, rendering, metal artifact reduction, and image analysis. 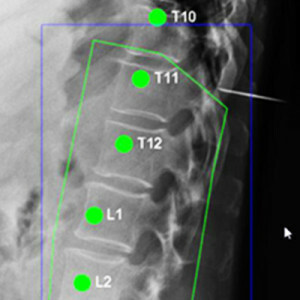 The “LevelCheck” algorithm for automatic radiographic labeling of the spine during surgery was evaluated by Tharindu De Silva and colleagues in a recent paper published in Spine. The clinical utility was assessed, and scenarios in which LevelCheck was most likely to be the beneficial were assessed in a retrospective study of 398 cases. The results showed that LevelCheck was helpful in 42.2% of the cases (168/398), to improved confidence in 30.6% of the cases (122/398), and in no case diminished performance (0/398), supporting its potential as an independent check and assistant to decision support in spine surgery. The scenarios for which LevelCheck was most likely to be beneficial included: cases with a lack of conspicuous anatomical landmarks; level counting across long spine segments; vertebrae obscured by other anatomy (e.g., shoulders); poor radiographic image quality; and anatomical variations/abnormalities. The method demonstrated 100% geometric accuracy (i.e., correctly overlaid spine labels within the correct vertebral level in all cases) and did not introduce ambiguity in image interpretation. The study shows LevelCheck to be a potentially useful means of decision support in spine surgery target localization and motivates translation to prospective clinical studies. This study was recently highlighted in the publication Spine Surgery Today. Read the full article here. Read the full paper in Spine. Eleven I-STARs will attend the 2017 SPIE Medical Image Conference in Orlando, FL from February 11-16, 2017 where they will present research in Image Registration, Cone-Beam CT, Image Reconstruction and Image-Guided Surgery. 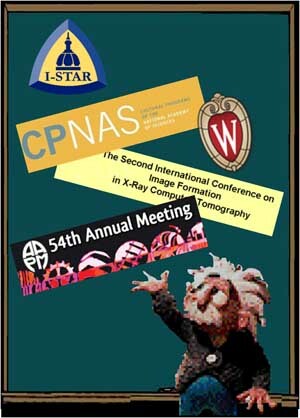 I-STARs present their research at the 102nd RSNA assembly and annual meeting in Chicago, Illinois. Dr. Michael Brehler discussed “Quantitative Assessment of Trabecular Bone Microarchitecture Using High-Resolution Extremities Cone-Beam CT” on Sunday November 27th from 11:55-12:05pm. Jeff Siewerdsen, PhD presented a talk entitled, Open Gantry Systems: Advances, Challenges, and New Applications on Sunday November 27th from 2:00-3:0 30pm. Tharindu De Silva, PhD presented research on “Development and Clinical Translation of the “LevelCheck” Algorithm for Decision Support in Spine Surgery” at the Physics Tuesday Poster Discussion on Tuesday, Novmeber 29th from 12:15-12:45pm. Dr. Jennifer Xu discussed “A Point-of-Care Cone-Beam CT System for Imaging of Intracranial Hemorrhage: Performance Characterization for Translation to Clinical Studies” on Wednesday, November 30th from 11:30-11:40am. Matthew Jacobson, PhD presented his research on “Mobile C-Arm Cone-Beam CT: A New Prototype Incorporating Model-Based Image Reconstruction and Soft-Tissue Contrast Resolution” on Wednesday, November 30th from 11:40-11:50am. Wojciech Zbijewski, PhD participated in an educational talk on Extremity CT, specifically MSK on Thursday, December 1st from 4:30-6:30pm. A recent publication in Physics in Medicine and Biology entitled: “Evaluation of detector readout gain mode and bowtie filters for cone-beam CT imaging of the head”, reports evaluation of the efficacy and benefits of various detector gain modes and/or use of bowtie filters on the image quality (in terms of contrast and noise) in a Cone-Beam CT (CBCT) system, with application to high-quality imaging of low-contrast lesions in the head. The work develops a model of digitization noise as related to inherent additive electronics noise and panel gain mode, with applications to generalized analysis of the effects of gain mode and imaging dose on detective quantum efficiency analysis. Three bowtie filters of varying curvature and thickness were designed to evaluate tradeoffs in image quality from bowtie shape. The changes to dose distribution within the object imparted by bowtie filters was evaluated with a fast, GPU-based Monte Carlo simulation. The results from this evaluation were used in determination of the clinical protocols for a prototype CBCT scanner dedicated to imaging of acute intracranial hemorrhage. This paper includes co-authors from Johns Hopkins Department of Biomedical Engineering (A. Sisniega, W. Zbijewski, H. Dang, JW. Stayman, JH. Siewerdsen), Department of Neuropathology (V. Koliatsos), Department of Neuroradiology (N. Aygun) and Carestream Health (DH. Foos, X. Wang). Graduate student Qian Cao was chosen for the prestigious Howard Hughes Medical Institute International Student Research Fellowship, awarded to just 45 international predoctoral students studying in the United States. The award provides funding through the fifth year of PhD studies. Cao’s research is under way in the I-STAR Laboratory at Johns Hopkins, where he works under the mentorship of Dr. Wojciech Zbijewski and Dr. Jeffrey Siewerdsen in Biomedical Engineering at Hopkins. “Qian’s work is helping to break the conventional limits of spatial resolution in CT,” says Zbijewski. 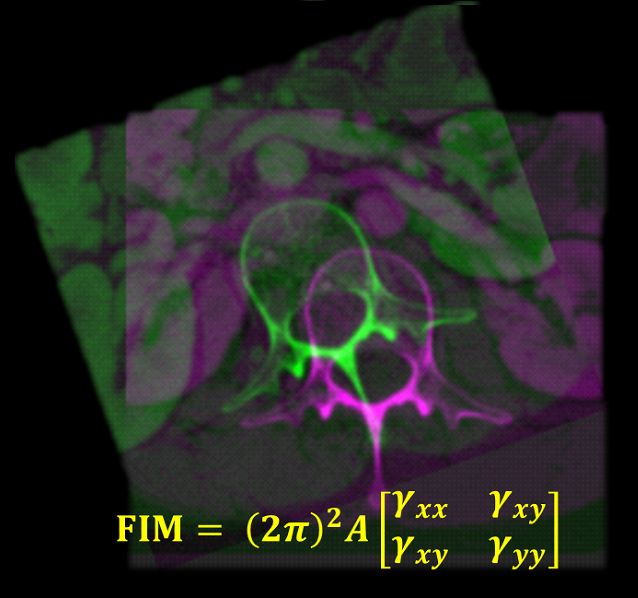 I-STARs will present new research in CT Imaging at the 4th International Conference on Image Formation in X Ray Computed Tomography between July 18th and July 22nd, 2016 at the Welcome Kongresshotel Bamberg, Germany. New research from the I-STAR lab will be presented at the AAPM Annual Meeting at the Walter E. Washington Convention Center in Washington DC betewen July 31st and August 4th, 2016. Qian Cao will discuss his research on “High-Resolution Cone-Beam CT of the Extremities and Cancellous Bone Architecture with a CMOS Detector,” which earned a “Best in Physics” award. (Wednesday, August 3, 2016 at 7:30 – Room: 207A). 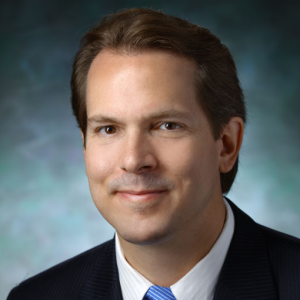 Jeff Siewerdsen, PhD discusses the “Advances in Image Registration and Reconstruction for Image-Guided Neurosurgery” (Monday, August 1, 2016 at 2:15pm – Room: 202). Jennifer Xu presents her research on the “CBCT Head Scanner for Point-Of-Care Imaging of Intracranial Hemorrhage”. (Wednesday, August 3, 2016) at 7:50am -Room: 207A). Ali Uneri will discuss “Operating Room Quality Assurance (ORQA) for Spine Surgery Using Known-Component 3D-2D Image Registration” (Wednesday, August 3, 2016 at 8:30am – Room: Ballroom A). Sarah Ouadah presents the “Correction of Patient Motion in C-Arm Cone-Beam CT Using 3D-2D Registration”. (Wednesday, August 3, 2016 at 8:40am – Room: Ballroom A). Tharindu De Silva, PhD will orate his research on “Registration of Preoperative MRI to Intraoperative Radiographs for Automatic Vertebral Target Localization” (Wednesday, August 3, 2016 at 8:50am – Room: Ballroom A). Grace Gang, PhD will present her research on “Task-Driven Fluence Field Modulation Design for Model-Based Iterative Reconstruction in CT” (Thursday, August 4, 2016 at 10:20am – Room: 207B). Sureerat Reaugamornrat discusses the “Clinical Application of the MIND Demons Algorithm for Symmetric Diffeomorphic Deformable MR-To-CT Image Registration in Spinal Interventions” (Thursday, August 4, 2016 at 11:30am – Room: 206). Finally, the 2016 Expanding Horizons session includes presentations by Michael Ketcha, Hao Dang, Ali Uneri, Sureerat Reaungamornrat and Dr. Alejandro Sisniega. (Tuesday, August 2, 2016) 9:30 AM – 11:00 AM Room: ePoster Theater). 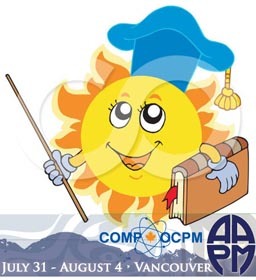 The session discusses cutting-edge topics from meetings outside the usual sphere of medical physics research, including KDD2016, ASNR, MICCAI, SIAM, the GPU Technology Conference. The article entitled “SPEKTR 3.0 – A Computational Tool for X-Ray Spectrum Modeling and Analysis” was published in the August issue of Medical Physics, first-authored by Joshua Punnoose, a 3rd-year undergraduate in Biomedical Engineering at Johns Hopkins University. 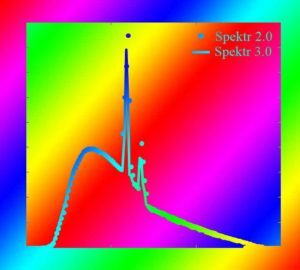 The technical note describes updates and improvements to the MATLAB toolkit for calculation of x-ray spectral characteristics using the improved TASMICS spectral model and a tuning function for users to calculate x-ray spectra matching output for a particular x-ray tube. Members of the I-STAR Lab head to Heidelberg for the Computed Assisted Radiology and Surgery Exhibition to present their research in IGS, Image Reconstruction and 3D Image Registration. The Carnegie Center was highlighted in a recent BME newsletter. For Jeff Siewerdsen, a professor of biomedical engineering, it was not hard to imagine such a synergistic connection between biomedical engineers and surgeons. “Clinical collaboration has always been the inspiration for our research,” he says. “What’s extraordinary is seeing that connection come to life in the same vintage operating rooms where so many landmark surgical procedures of the 20th century were pioneered.” The Carnegie Center for Surgical Innovation presents a unique resource for research, education, and translation that the departments of Neurosurgery and Biomedical Engineering hope will transform surgery, imaging science, and other disciplines in the 21st century. A paper entitled; “Self-calibration of cone-beam CT geometry using 3D-2D image registration” by Sarah Ouadah, recently published in Physics in Medicine and Biology, presents a method for geometric calibration of an arbitrary source-detector C-arm orbit by registering 2D projection data to a previously acquired 3D image. This paper includes co-authors from Johns Hopkins Biomedical Engineering Department (JW Stayman, Grace Gang and Jeff Siewerdsen) and Siemens collaborator (Tina Ehtiati). The algorithm uses information from the image gradients and a statistical optimizer to determine the transformation that provides in the best registration. The resulting transformation provides a “self-calibration” of system geometry. Using this algorithm, visible improvement was evident in CBCT reconstructions, particularly about high-contrast, high-frequency objects (e.g., temporal bone air cells and a surgical needle). The I-STAR lab welcomes Dr. Ke Li for his seminar on Thursday, May 26th, entitled: Four-dimensional cascaded systems analysis of cerebral CT perfusion imaging: Theoretical framework and potential applications. The recent success of clinical trials on endovascular stroke therapy has brought cerebral CT perfusion (CTP) imaging in the spotlight. CTP is used by many clinical centers for the diagnosis and prognosis of strokes, patient selection for endovascular therapy, and post-treatment evaluation. However, the exact role of CTP in endovascular therapy is somehow controversial, primarily due to the relatively large uncertainties in quantifying perfusion deficits from noisy CTP maps. This talk will present an imaging science framework that describes the signal and noise propagation process through each subcomponent of the CTP systems. The framework includes both deconvolution- and nondeconvolution-based postprocessing methods, and it covers different types of perfusion parameters such as cerebral blood flow and time-to-max. This framework has been used to identify the culprits for the poor imaging performance of the current CTP technology, and it has provided the needed scientific guidance for the development and optimization of several new CTP technologies, which potentially enables reliable quantification of perfusion deficits with reduced radiation dose. The seminar will be held on Thursday, May 26th at 1:00 pm in the Talbot Library (Traylor 709) on the School of Medicine campus. Jeff Siewerdsen, Principal Investigator for the I-STAR Lab, Director of The Carnegie Center for Surgical Innovation, and Professor of BME at Hopkins, was recently inducted into the AIMBE College of Fellows for his contributions to biomedical imaging and image-guided interventions. The induction ceremony was held at the National Academy of Sciences in Washington DC on April 4, 2016. Induction in the College is based on nomination and peer review representing the top 1-2% of the engineering community. The Fellows are instrumental in realizing the AIMBE vision for innovation and benefit to healthcare. Congratulations, Dr. Siewerdsen, on this achievement! Quantitative Molecular Imaging with PET/CT: Why Does it Matter and How Do We Do It? 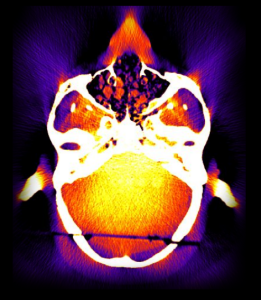 PET or PET/CT imaging has become a standard component of diagnosis and staging in oncology and is also used for specific neurological and cardiovascular tasks. Because of its high sensitivity, quantitative nature, and its ability to image deep into large objects, it is arguably the most powerful technology for in vivo molecular imaging in humans. Dr. Kinahan’s seminar will review the barriers, both technological and otherwise, to improved quantitative PET imaging and describe recent efforts and accomplishments in removing or avoiding these barriers. Dr Kinahan is Professor and Vice-Chair of Research in Radiology, and Adjunct Professor of Bio-engineering and Physics. at the University of Washington. He is also the Director of UWMC PET/CT Imaging Physics and Head of the UW Imaging Research Laboratory. His research includes the physics of PET/CT imaging, the use of statistical image reconstruction, optimization of PET/CT image quality, and the use of quantitative analysis in oncology imaging. The seminar will be held on Monday, March 21st, 2016 from 3-4 pm in the Talbot Library (Traylor 709) on the School of Medicine campus. The seminar will be video telecast to Clark 110 on the Homewood Campus. Congratulations!!! to Dr. Jean-Paul Wolinsky, MD, promoted to Professor of Neurosurgery at Johns Hopkins University. 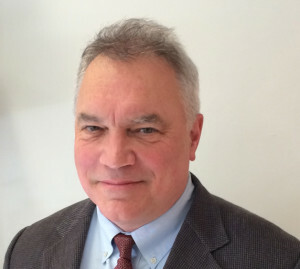 Dr. Wolinsky’s work focuses on the development of minimally invasive surgical techniques for the resection and stabilization of neoplastic disease of the spine and novel surgical strategies for pathology of the occipital-cervical junction and complex spinal reconstruction. He is a pioneer of anterior approaches to the cervical spine and is a close collaborator with the I-STAR Lab on topics of intraoperative imaging and patient safety. Dr. Wolinsky is also Co-Director of the Carnegie Center for Surgical Innovation. 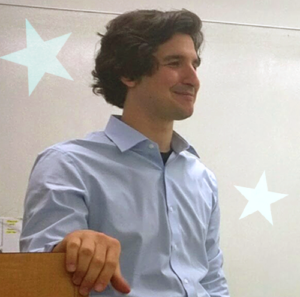 Congratulations, Professor Wolinsky on this well-deserved achievement! I-STAR Sureerat “Ja” Reaungamornrat shines on the 2016 SPIE award podium! Sureerat Reaungamornrat, better known as “Ja”, is the recipient of two awards at the 2016 SPIE Medical Conference. She earned the SPIE 2016 Medical Imaging Young Scientist award and the Robert Wagner All-Conference Best Student Paper award. Her submission, entitled: “MIND Demons for MR-to-CT Deformable Image Registration in Image-Guided Spine Surgery” stood out among a group of competitive papers and earned her this great achievement. This is not Ja’s first time at the podium at SPIE – she previously won the Young Scientist award in 2014 and the Best Student Paper Award in 2013 and 2014. The subject of Ja’s research “MIND Demons”, has nothing to do with your mind and nothing to do with demons. She explains that “It is a 3D image registration method that uses the MIND metric to compare the similarity between two images and the Demons algorithm to drive the deformable alignment.” The research offers particular promise for application in image-guided surgery, where surgical planning and visualization of the target is often performed in preoperative MRI and high-precision surgical guidance is performed using intraoperative CT. The method allows the MRI and planning information to be deformably registered into the up-to-date intraoperative CT. Under the hood, MIND Demons yields registration results that are symmetric / diffeomorphic, is insensitive to the inherent lack of correspondence between MRI and CT image intensities, and uses a Gauss-Newton optimization for fast convergence.” Ja’s paper reports the details of the MIND Demons algorithm, tests its performance in simulation, phantom studies, and clinical data, and demonstrates superior registration accuracy to other registration techniques. Translation of the method to clinical use could facilitate safer surgery with increased precision and confidence in targeting. Introducing the Carnegie Center for Surgical Innovation! The Carnegie Center for Surgical Innovation is a new, nationally unique resource for research, education, and translation in imaging and image-guided interventions. Located in the heart of Johns Hopkins Hospital and formed in collaboration between the Department of Biomedical Engineering and Department of Neurosurgery, the Center provides a synergistic co-location of expertise to identify major clinical needs, drive research and development of new technologies, translate advances to clinical use, and cultivate the next generation of engineers and clinicians. Pillars of the Carnegie mission are Research, Education, and Translation, with a focus on applications of novel imaging systems in neurosurgery, orthopaedic surgery, and otolaryngology – head and neck surgery for improved surgical precision and patient safety. Research – advances in surgical techniques employing intraoperative imaging and computer assistance for improved surgical precision and quality. Education – undergraduate and graduate education in engineering as well as training of medical residents and fellows. Translation – accelerating the translation of research to first clinical studies and the transfer of innovations to broader commercial availability. The Carnegie Center is directed by Jeffrey Siewerdsen (Professor of Biomedical Engineering and head of the I-STAR Lab) and by Jean-Paul Wolinsky (Professor of Neurosurgery). 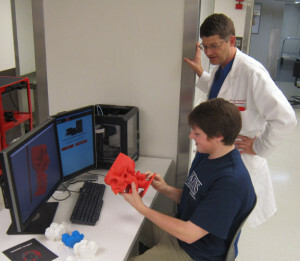 Resources at the Carnegie Center include laboratories for biomedical imaging, high-speed computing, machining and 3D printing, and outside-the-OR training facilities. Located in the heart of the the Carnegie ORs established in 1935 at Johns Hopkins Hospital, the Carnegie Center offers a new home for collaboration among engineers and clinicians. I-STARs converge at the 2016 SPIE Conference in San Diego, California to present talks on topics ranging from 3D image reconstruction to image registration and image-guided surgery. 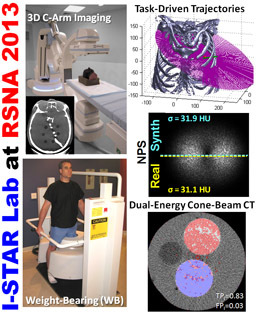 At the 101st meeting of the RSNA, four presentations from the I-STAR Lab highlight new research in CT imaging physics. Topics range from the development of a new cone-beam CT system for detection of traumatic brain injury to dual-energy CT for detection of bone marrow edema. Jennifer Xu, a PhD student in Biomedical Engineering at Johns Hopkins University, presents on “Development of a Dedicated Cone-beam CT System for Imaging of Intracranial Hemorrhage.” Her work uses a task-based image quality model to design a new cone-beam CT system for reliable detection of brain injury at the point of care. By combining optimal system design with high-quality artifacts correction and model-based 3D image reconstruction, the research has enabled development of a scanner prototype for first clinical tests in the ICU. Finally Wojciech Zbijewski, PhD, Faculty in Biomedical Engineering at Johns Hopkins University, will present on “Ultra-High Resolution Quantitative Cone Beam CT of the Extremities with a CMOS X-ray Detector.” His work advances a cone-beam CT system for extremities imaging beyond conventional spatial resolution limits to permit quantitative analysis of subchondral bone morphology. 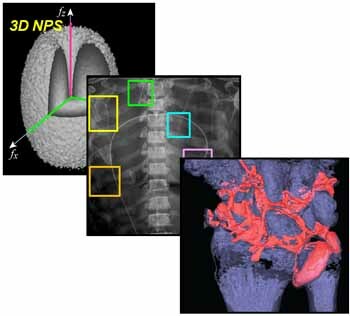 Through development of a new imaging chain with a high-resolution detector, model-based multi-resolution 3D image reconstruction, and motion correction methods, the research promises a new means for in vivo quantitative image-based biomarkers of bone health and disease progression in osteoarthritis. 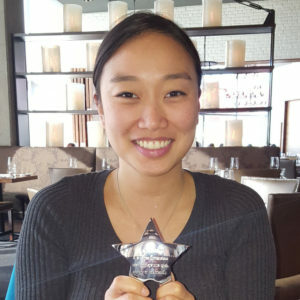 Hao Dang, a graduate student in the I-STAR Lab at Hopkins, was recently named to the 2016 class of Siebel Scholars for outstanding research, academic achievements, and leadership. The Siebel Scholars program was established by the Thomas and Stacey Siebel Foundation in 2000 to recognize talented students at the world’s leading graduate schools of business, computer science, bioengineering, and energy science. The Engineering program at Hopkins is proud to be among the few programs in the world recognized by the Siebel Scholars Foundation. Hao is a PhD student in Biomedical Engineering supervised by Professor Jeffrey H. Siewerdsen. His thesis focuses on the development of new methods for 3D image reconstruction in cone-beam CT (CBCT) using advanced models of imaging physics. His project involves development of an imaging system for improved detection of intracranial hemorrhage. Hao’s work has yielded substantial improvement in image quality compared to traditional reconstruction methods by accurately incorporating the image noise characteristics associated with artifact correction (paper). His previous work includes automatic image-to-world registration for surgical guidance using C-arm CBCT system (paper) and work with Dr. J. Webster Stayman on novel image reconstruction using prior image information for dose reduction and image quality improvement (paper). The Siebel Scholarship includes a stipend support from the Siebel Scholars Foundation for his final year of graduate studies. 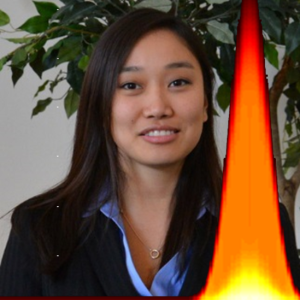 Jennifer Xu and coauthors were awarded this year’s Sylvia and Moses Greenfield Award for the Best Paper in Medical Physics. 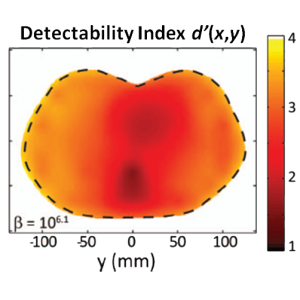 Her paper, entitled “Cascaded systems analysis of photon counting detectors,” reports an analytical model for the imaging performance of x-ray photon counting detectors. The research extends analytical models that have been important to the development and application of (energy-integrating) flat-panel detectors to account for important characteristics of photon counters, such as the pulse height threshold and possible charge sharing effects. The work also quantifies the conditions for which photon counting detectors are expected to provide greatest benefit to imaging performance in comparison to conventional flat-panel detectors. The research was supported by that National Institutes of Health and supervised by Dr. Jeff Siewerdsen in collaboration with scientists at Philips Healthcare. Coauthors are W. Zbijewski, G. Gang, J. W. Stayman, K. Taguchi, M. Lundqvist, E. Fredenberg, J. A. Carrino, and J. H. Siewerdsen. Congratulations to Jen and coauthors on this outstanding achievement! 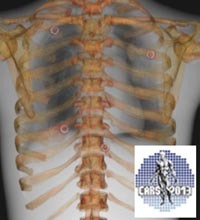 The I-STARs head to Barcelona for the 29th Annual CARS Meeting on Computer-Assisted Radiology and Surgery. The program includes four talks from the I-STAR Lab on topics ranging from imaging of TBI to systems for safer surgery, including new technical breakthroughs in cone-beam CT and ultrasound imaging. 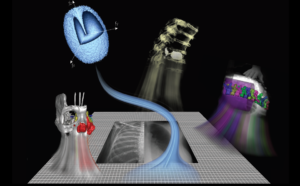 Five talks from the I-STAR Lab highlight advances in 3D imaging and image-guided interventions at the 57th Annual Meeting of the AAPM, Anaheim CA. Web Stayman leads the charge (Monday, June 1) with breakthrough work on “Task-Based Optimization of Source-Detector Orbits in Interventional Cone-beam CT.” By incorporating a model for task-based imaging performance as the objective function, Web shows how the x-ray source and detector orbit in cone-beam CT acquisition can be optimized to maximize image quality. Such work suggests a new paradigm for CT imaging in which data is collected based upon prior knowledge of the patient and a model for the imaging task. Steven Tilley, PhD Student in Biomedical Engineering at Hopkins, presents his talk entitled “Generalized Penalized Weighted Least-Squares Reconstruction for Deblurred Flat-Panel CBCT” on Monday, June 1. 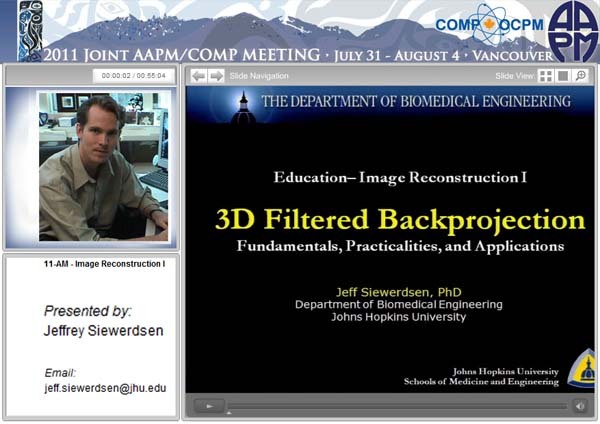 By incorporating models for system blur arising from the x-ray focal spot size and detector scintillator, Steve shows a method for model-based reconstruction that achieves superior noise and spatial resolution in comparison to conventional deconvolution methods and identifies cone-beam CT configurations for which such modeling is important to maximizing image quality. Amir Pourmorteza, Postdoctoral Fellow in Biomedical Engineering at Hopkins, presents on the topic of “Reconstruction of Difference using Prior Images and a Penalized-Likelihood Framework” on Tuesday, June 2. Amir’s work shows a model-based reconstruction method capable of delineating subtle changes in patient morphology based on sparse, low-dose data. Such work could be especially valuable in longitudinal imaging studies in which detection of change – e.g., tumor growth or shrinkage – is important. Qian Cao, PhD Student in Biomedical Engineering at Hopkins, presents a poster entitled, “Multi-Resolution Penalized Weighted Least-Squares Reconstruction for Quantitative Cone-Beam CT Imaging of Bone Morphology” on Wednesday, June 3. Qian’s work builds from a new program in high-resolution orthopaedics imaging headed by Dr. Wojciech Zbijewski, showing a model-based reconstruction method in which various regions of an image can be reconstructed with disparate image quality characteristics – e.g., ultra-high-resolution within regions of bone for visualization of trabecular structure, simultaneous with lower-resolution, low-noise reconstruction in regions of soft tissue. Four RSNA talks from the I-STAR Lab at Johns Hopkins University include cone-beam CT research in a spectrum of emerging applications – from “head to toe.” For imaging of traumatic brain injury (TBI), Alejandro Sisniega presents a comprehensive framework for artifact correction, including high-speed Monte Carlo correction of x-ray scatter as well as beam-hardening, image lag, and low-frequency glare effects. The framework yields cone-beam CT images with quality suitable to detection of small brain hemorrhages. For a variety of image-guided interventions using intraoperative C-arms for cone-beam CT, Grace Gang presents a method for acquiring images with optimal image quality driven by a specification of the imaging task. Using a prospective definition of the region and spatial frequencies of interest, her work shows how task-driven imaging yields protocols for mA modulation, kernel modulation, and non-circular orbits that are distinct from conventional paradigms and produces images with higher task performance. 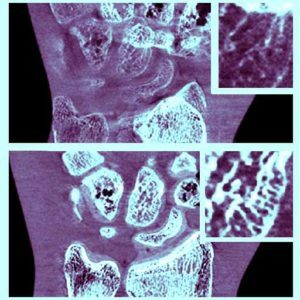 For extremities imaging, Wojciech Zbijewski is extending the capabilities of CBCT of the extremities to include dual-energy imaging and tackling the specific challenge of detecting bone marrow edema (BME). Using a dedicated extremity scanner developed in previous work for high-resolution imaging and combining with statistical reconstruction methods combined with dual-energy decomposition, his work begins to show the promise of detecting subchondral edema as in rheumatoid and osteo-arthritis. Finally, Gaurav Thawait presents the latest findings from a clinical study of CBCT imaging of the ankle and foot, showing the ability of high-resolution CBCT to provide accurate measurement and visualization of trauma and fracture healing. 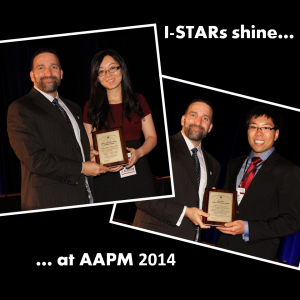 Grace Gang and Adam Wang – both postdoctoral fellows in the I-STAR Lab at Hopkins – won awards for outstanding research at the annual meeting of the AAPM in Austin TX, July 24, 2014. Grace was awarded an AAPM Research Seed Funding Grant for her project entitled “Task-Driven, Patient-Specific Imaging for CT and Cone-Beam CT,” work that combines the fundamental physical models of image quality with statistical reconstruction to improve imaging performance and reduce dose. Adam Wang was awarded the Junior Investigator Award for his abstract entitled, “Low-Dose C-arm Cone-Beam CT with Model-Based Image Reconstruction for High-Quality Guidance of Neurosurgical Intervention.” Adam’s work demonstrates the powerful role that advanced 3D imaging methods hold for image-guided procedures, providing high-quality images in the OR for guidance, quality assurance, and improved patient safety. 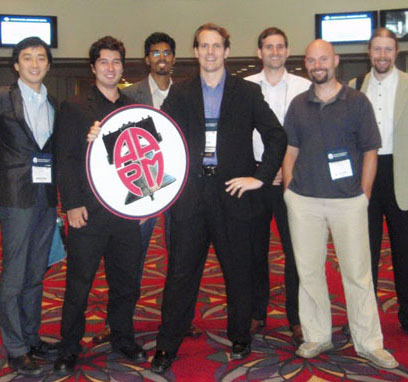 The I-STAR Lab presented 6 talks at the annual meeting of the American Association of Physicists in Medicine (AAPM) in Austin TX, July 20 – 25, 2014, featuring the latest in imaging physics, analysis, reconstruction, and Monte Carlo simulation. — Wojciech Zbijewski presented an overview and update in an educational symposium on Monte Carlo simulation, including variance reduction and kernel smoothing acceleration methods. His work shows such methods to provide accurate MC simulation on timescales consistent with real applications in diagnostic imaging and image-guided procedures. — Alejandro Sisniega presented a framework for high-quality cone-beam CT of traumatic brain injury (TBI) including high-fidelity artifact correction. Using GPU-accelerated Monte Carlo scatter correction combined with parametric models of beam-hardening, lag, and veiling glare, his work demonstrates major improvement in CBCT image quality consistent with the challenging tasks of TBI imaging. — Qian Cao presented a model for 3D image analysis in cone-beam CT of the joints. Using an electrostatic model that envisions the joint as a capacitor, his work overcomes conventional limitations of simple joint space measures and demonstrated significant improvement in the ability to detect osteoarthritis associated with subtle changes in joint space morphology. — Adam Wang presented a new method for high-speed statistical image reconstruction using accelerated convergence methods based on Nesterov’s method. Without loss in image quality, Adam’s work shows that methods conventionally requiring an hour or more to reconstruct can be performed in 2 minutes, bringing advanced iterative reconstruction methods to a practical timescale for image-guided surgery. — Web Stayman presented the latest advances in 3D image reconstruction in an invited symposium, including how specification of the imaging task can be rigorously incorporated in the image acquisition and reconstruction process. His work shows how advanced imaging platforms such as a robotic C-arm can be used to carry out noncircular orbits that are optimal in image quality and dose for image-guided procedures. — Jeff Siewerdsen presented a plenary in the President’s Symposium entitled “Innovation in the Medical Physics Enterprise.” He addressed the central role that medical physicists play in advancing the state of care through identification of pertinent clinical needs, development of innovative solutions, and translation to clinical care. Particularly in a changing, cost-sensitive landscape, the role of medical physicists in multi-disciplinary research research and innovation is greater than ever. 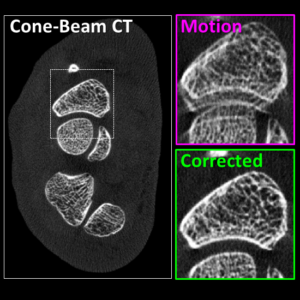 — W. Zbijewski et al., “A Sparse Monte Carlo Method for High-Speed, High-Accuracy Scatter Correction for Soft-Tissue Imaging in Cone-Beam CT.” As illustrated in the animation at left, cone-beam CT can suffer from image artifacts that pose a major challenge to soft tissue visibility and diagnostic accuracy in imaging of the head. Research presented by Dr. Zbijewski shows that high-speed Monte Carlo methods can be used for high-quality scatter correction, and combined with a comprehensive framework for correction of artifacts arising from lag, beam hardening, veiling glare, and other sources of image degradation, can yield image quality suitable to imaging of subtle pathology such as intracranial hemorrhage and traumatic brain in jury. — J. 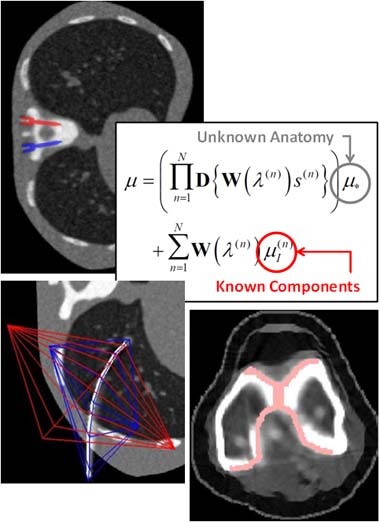 Web Stayman et al., “Integration of Component Knowledge in Penalized Likelihood Reconstruction with Morphological and Spectral Uncertainties.” By extending the framework for Known-Component Reconstruction (KCR) to deformable objects and a polyenergetic x-ray beam, research presented by Dr. Stayman offers to improve image quality and reduce radiation dose in CT-guided procedures such as needle biopsy. — S. Tilley et al., “Iterative CT Reconstruction Using Models of Source and Detector Blur and Correlated Noise.” Research presented by Steve Tilley shows how model-based reconstruction can be improved by incorporating models for blur and noise correlation, showing particular advantage over conventional models for scanner configurations in which focal spot blur is a significant source of image degradatation. — A. S. Wang et al., “Nesterov’s Method for Accelerated Penalized Likelihood Statistical Reconstruction for C-arm Cone-Beam CT.” For image-guided surgery, the ability to form high-quality cone-beam CT using a mobile C-arm offers important advances in surgical precision and safety. Research presented by Adam Wang shows that not only can advanced reconstruction methods be used to improve CBCT image quality for soft tissue imaging and reduce radiation dose, but also that such images can be formed on practical time scales in the operating room (less than 2 minutes) using Nesterov’s method for accelerated convergence. Research underway in The I-STAR Lab spearheaded by Dr. Web Stayman offers to advance the performance of CT and cone-beam CT in diagnostic and image-guided procedures. Among the breakthroughs are three forms of penalized likelihood (PL) model-based image reconstruction that overcome conventional barriers to image quality and dose and present potentially new paradigms for CT image acquisition and reconstruction that knowledgeably include prior information and a specification of the imaging task. Task-Driven Imaging. Over the last decade, task-based image quality assessment has formed an area of active research, including the use of task-based detectability index for the design and optimization of new cone-beam CT systems for diagnostic and image-guided procedures. Recent research takes task-based metrics from the realm of image quality assessment to a position directly within the imaging chain – as the objective function to be optimized in the process of image acquisition and reconstruction. The resulting Task-Driven Imaging method presents a new paradigm for technique optimization with implications for new acquisition and reconstruction techniques — e.g., optimal source-detector orbits, as reported at The Fully 3D Meeting 2013). 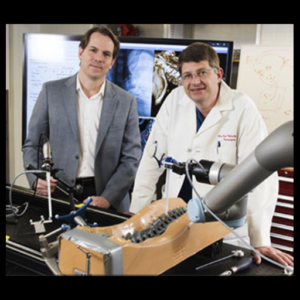 Recent research includes testing and evaluation of Task-Driven Imaging on a robotic C-arm for image-guided interventions. PIRPLE. Many imaging scenarios – especially in image-guided interventions – involve repeat image acquisitions. For example, in image-guided radiotherapy or surgery, the patient receives a planning CT followed by a number of images acquired for interventional guidance. The PIRPLE algorithm (Prior-Image-Registered Penalized Likelihood Estimation) incorporates the prior image within the up-to-date image reconstruction process via an additional penalty and regularization term. The approach demonstrates the potential for major improvement in image quality and reduction of dose. Recent work includes extension to deformable prior images (dPIRPLE) and evaluation in clinical studies. KCR. The “Known-Component Reconstruction” (KCR) framework forms the 3D image in two parts – an unknown background component (e.g., patient anatomy) and a known component (e.g., implant or interventional device) whose shape and content are specified either exactly or parametrically. In solving a joint registration (of the known component) and reconstruction (of the component and background), KCR demonstrates major reduction in noise and artifacts that plague conventional imaging methods, especially in the presence of heavy metal components, such as screws, plates, and prosthetics. 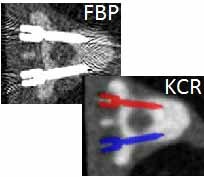 Original findings were reported in IEEE-TMI, and recent advances extend KCR to deformable components (dKCR, such as needles or cochlear implants) and account for effects of the polyenergetic x-ray beam. Students from the I-STAR Lab earned 1st and 2nd place paper awards at the SPIE 2014 Medical Imaging conference in San Diego. Localization of target vertebrae is essential to effective spine surgery, but confident identification of vertebrae in intraoperative radiographs can challenge even experienced surgeons and radiologists. Manual “level counting” presents a time-consuming, error-prone process with which spine surgeons contend every day, and wrong-level surgery is still encountered at an unacceptably high rate of occurrence. The LevelCheck algorithm was developed at Johns Hopkins University as an assistant and “independent check” on spine level localization. The method combines a robust 3D-2D registration alogirthm with high-speed computing to automatically identify vertebral levels in intraoperative x-ray images. 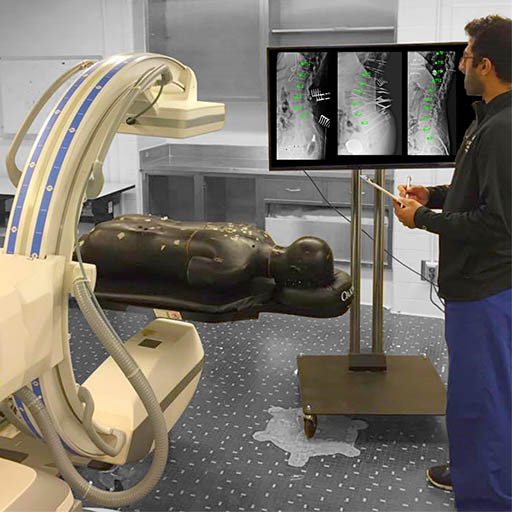 The process robustly registers vertebral labels – along with any other information defined in preoperative CT – to C-arm or mobile x-ray radiographs in just a few seconds. Initial studies tested the algorithm in simulations drawn from The Cancer Imaging Archive. Preclinical studies validated performance in cadaver, including the effects of gross anatomical deformation. Clinical studies are now underway. The work was awarded the 2013 Spine Technology Award by Orthopedics This Week and announced at the 2013 North American Spine Society. The algorithm was developed in the I-STAR Lab by Yoshito Otake and collaborators in Orthopaedic Surgery (Dr. Jay Khanna and colleagues) and Neurosurgery (Dr. Ziya Gokaslan and colleagues) at Johns Hopkins University. 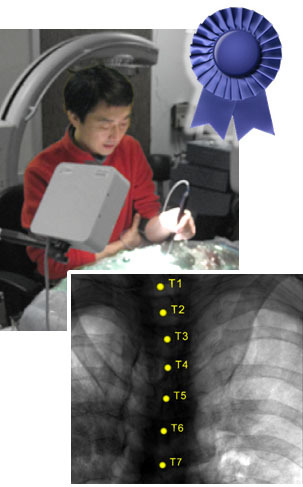 — Y. Otake et al., “Automatic localization of vertebral levels in x-ray fluoroscopy using 3D-2D registration: a tool to reduce wrong-site surgery,” Phys. Med. Biol. 57(17): 5485-5508 (2012). Grace Gang successfully defended her PhD dissertation entitled, Task-based imaging performance in 3D x-ray tomography: Noise, detectability, and implications for system design. Grace’s work encompasses four peer-reviewed and several conference presentations, including First-Place at the 2013 AAPM Young Investigators Symposium (). Grace’s examining committee included Dr. John Boone (UC Davis), Dr. Martin Yaffe (University of Toronto), Dr. Mike Joy (University of Toronto), Dr. Kristy Brock (University of Michigan), and Dr. Jeff Siewerdsen (Johns Hopkins University). Three papers from the I-STAR Lab extend the Demons algorithm for deformable image registration to new dimensions and applications. — S. Nithiananthan et al., Extra-dimensional Demons: A method for incorporating missing tissue in deformable image registration. Conventional deformable image registration can be confounded by the removal of tissue or the introduction of surgical instrumentation between the original (preoperative “moving”) image and the target (intraoperative “fixed”) image. By treating the 3D registration as a 4D registration, where the fourth or higher dimensions allow for motion into and out of the moving image, the Extra-Dimensional Demons (XDD) method is shown to accurately model such effects and provide accurate registration for image-guided interventions. — A. Uneri et al., Deformable registration of the inflated and deflated lung in cone-beam CT-guided thoracic surgery: Initial investigation of a combined model- and image-driven approach. In thoracic surgery, the lung is often purposely collapsed for resection of a target lesion, but a surgeon’s ability to accurately localize the target can be confounded by gross deformation and nodules that are too small to see in thoracoscopy or even feel with one’s fingertips. By combining a mesh-driven model with the Demons algorithm, this paper reports a registration algorithm that solves the large deformation between the inflated and deflated lung to a level of geometric precision sufficient to guide the surgeon confidently to target nodules. — S. Reuangamornrat et al., Deformable image registration for cone-beam CT guided transoral robotic base-of-tongue surgery. Transoral robotic surgery (TORS) offers a promising new treatmetn of base of tongue cancer, but the the gross deformation between preoperative images (mouth closed, tongue in repose) and the intraoperative setup (mouth open, tongue retracted) limits the application of conventional guidance. By combining intraoperative cone-beam CT and a hybrid registration algorithm that combines a Gaussian mixture model with the Demons algorithm, this paper shows the ability to geometrically align images of the tongue to within ~1-3 mm. 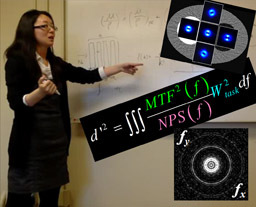 Jennifer Xu reports a cascaded systems analysis framework for photon counting detectors applied to spectral and tomographic imaging, including aspects of noise, thresholding, energy resolution, and charge sharing. Her work helps to open a new window on understanding and optimizing imaging performance in photon counting CT.
Dr. Jeff Siewerdsen and Dr. Bob Nishikawa Chair a scientific symposium on Image Quality Models in Advanced CT Applications, including spectral / dual-energy imaging, tomosynthesis and cone-beam CT, iterative reconstructin, phase-contrast CT, and model observers for volumetric image data. Invited speakers include Dr. Siewerdsen (Johns Hopkins University), Dr. Nishikawa (University of Chicago), Dr. Cunningham (University of Western Ontario), Dr. Chen (University of Wisonsin), and Dr. Bochud (Universitaire Vaudois). — S. Nithiananthan et al.,“Demons deformable registration for cone-beam CT-guided procedures in the head and neck: Convergence and accuracy,” Med. Phys. 36(10): 4755-4764 (2009). — S. Nithiananthan et al.,”Demons deformable registration of CT and cone-beam CT using an iterative intensity matching approach,” Med. Phys. 38(4): 1785 – 1798 (2011). — S. Nithiananthan et al., “Extra-dimensional Demons: A method for incorporating missing tissue in deformable image Registration,” Med. Phys. 39(9):5718-5731 (2012). 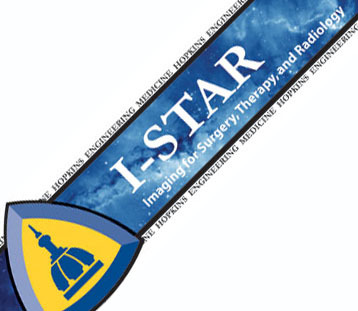 Two papers appearing in the International Journal of Computer-Assisted Radiology and Surgery (IJCARS) report on the development of new surgical tracking configurations at the I-STAR Lab. A theoretical basis for image noise in DE-CBCT combined with advanced iterative reconstruction techniques probe the low-dose, low-concentration limits of dual-energy CT image quality. A novel framework for model-based reconstruction combines statistical models of image noise with prior image information to yield high-quality, low-dose cone-beam CT in image-guided interventions. A novel approach to differential phase contrast CT allows imaging at higher x-ray energy than previously achieved and propels application to imaging of large joints in musculoskeletal radiology. X-RAYS CAN’T HAVE ALL THE FUN! Dr. Siewerdsen moderates the RSNA-AAPM Symposium. IMAGING SPEED DEMONS! Three papers on image quality in cone-beam CT span from practical to sublime. A rigorous technical assessment of a new cone-beam CT system for ENT examines image quality and dose. In collaboration with industry partners, the technical assessment identified new scan protocols that reduced radiation dose by 30% or more. Answering a long-standing challenge to go off the diagonal, this paper examines basic assumptions in noise-power spectrum analysis and examines non-stationarity of image noise as evident in off-diagonal elements of the Fourier covariance matrix. Check out the paper andvideoAir, videoBowtie, and videoNoBowtie. Modeling of NPS, NEQ, and task-based detectability is extended to dual-energy CT, providing a theoretical framework for optimizing imaging and reconstruction protocols and minimizing radiation dose. A series of talks on image science, 3D image reconstruction, diagnostic imaging, and image-guided interventions marks the I-STAR summer schedule. Web Stayman’s “Known-Component Reconstruction” (KCR) algorithm demonstrates an exciting new approach to 3D image reconstruction in 4 publications: 1.) the original concept reported at The Fully 3D Meeting (Potsdam Germany); 2.) an upcoming IEEE-TMI paper; 3.) a KCR variant allowing for deformable components (“dKCR”) reported at SPIE (San Diego CA); and 4.) extension of the model to polyenergetic spectra and application to large, challenging, metallic implants (knee replacement) at The International CT Meeting (Salt Lake City UT). The KCR method is much more than a metal artifact correction method. It is a novel approach to 3D image reconstruction in which the image is treated in two parts – an unknown anatomical background and a known (or partly known) component therein – and a joint estimation is computed in successive iterations: reconstruction of the anatomical background and registration of the component. Studies demonstrate that the registration tends to converge quickly, and as the component locks in with sub-voxel precision in the attenuation map, artifacts that normally confound image quality in the presence of metal implants instead melt away. The resulting 3D image reconstruction exhibits a dramatic increase in image quality, potentially allowing visualization right up to the surface of the implant. Variations in development include model-based reconstruction with a polyenergetic beam, deformable component models, and statistically-known component models. A novel cone-beam CT scanner dedicated to extremity imaging has been developed at Johns Hopkins University in collaboration with Carestream Health. 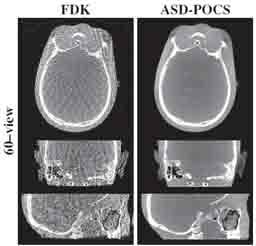 Development of the prototype scanner included task-based imaging performance assessment and modeling combined with a recognition of clinical challenges and potential improvements in space, workflow, and dose. The scanner is self-shielded, occupies ~ 1 sq. 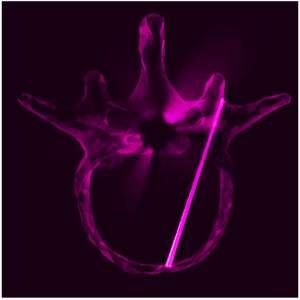 m. footprint, and incorporates imaging protocols optimized for bone and soft-tissue visualization. Among the key features of the scanner is the capability to image the weight-bearing knee and lower extremities, opening new capabilities for diagnosis of a variety of impingement syndromes. Other capabilities include protocols for combined radiography, fluoroscopy, and cone-beam CT on the same platform, functional / morphological analysis of joint space and tissue integrity, and dual-energy CT. The system entered the first IRB-approved clinical study in February, 2012, including imaging of the upper and lower extremities. Potential applications include musculoskeletal radiology, orthopaedic trauma, surgical planning and treatment assessment, and rheumatological imaging. Thanks to Dr. John Carrino for leading the clinical study and to Dr. Simon Mears, Dr. Ken Means, Dr. Frank Frassica, and Dr. Carl Johnson for participation in the study. The Super Bowl isn’t the only show in early February… SPIE 2012 (San Diego, Feb. 4-9) includes TEN presentations from the I-STAR Lab on a spectrum of research in medical imaging physics and image-guided interventions. Presentations available at I-STAR Presentations, and pre-prints of the papers can be found at I-STAR Publications. Photos and fun from SPIE 2012 can be seen on PIcasa. 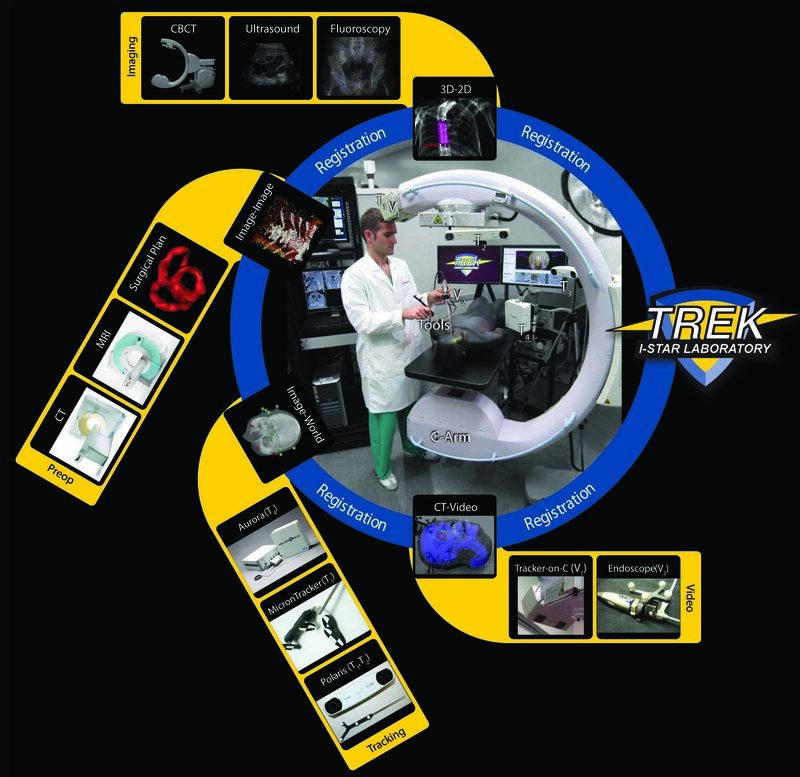 The paper detailing the TREK architecutre was published in the International Journal of Computer-Assisted Radiology and Surgery (IJCARS) — see I-STAR Publications, Uneri et al., IJCARS 7(1): 159-173 (2012). A recent article in the Medical Physics Journal applies cascaded systems analysis of the Noise-Power Spectrum (NPS) and Noise-Equivalent Quanta (NEQ) to task-based analysis of a new cone-beam CT scanner for musculoskeletal (MSK) extremity imaging. The model is fairly comprehensive in combining numerous factors governing noise and spatial resolution, including: quantum noise, electronic noise, background anatomical noise, etc. The paper also addresses the factors governing spatial resolution, such as x-ray focal spot size, system geometry, detector pixel size, etc. Bringing these factors together in a task-based model for detectability index provided a basis for optimization of system design, including tube selection, detector selection, system geometry, acquisition technique, and reconstruction technique. The theoretical results agreed qualitatively with various imaging tasks performed in cadavers – for example, detection of bone details and discrimination of soft-tissues. The results guided the construction of a new cone-beam CT scanner dedicated to extremity imaging, now deployed at Johns Hopkins Hospital. 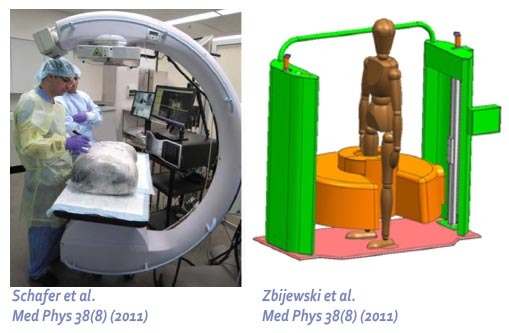 The paper (pdf) is available in I-STAR Publications (Prakash et al., “Task-based modeling and optimization of a cone-beam CT scanner for musculoskeletal imaging,” Med. Phys. 38(10): 5612-5629 (2011). 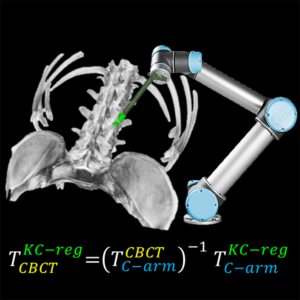 — Schafer et al., “Mobile C-arm cone-beam CT for guidance of spine surgery…”describes the identification of low-dose CBCT protocols for 3D C-arm imaging in spine surgery (pdf). I-STAR Lab Summer Barbecue a Blast! — Scenic views from the King & Queen’s Chair as Dr. Zbijewski shows us all the ropes in rock climbing. — “Task-Based Modeling and Optimization of a Dedicated Cone-Beam CT Scanner for Musculoskeletal Imaging” (Prakhar Prakash) – Best in Physics Award! Dr. Web Stayman will present a new 3D image reconstruction technique (referred to as Known-Component Reconstruction, KCR) at The Fully 3D Meeting in Potsdam, July 11-15. The KCR algorithm allows nearly artifact-free imaging in the presence of metallic implants, whereas conventional reconstruction methods often suffer from severe artifacts. By including prior information on the shape of the implant and simultaneously registering and reconstructing the object within an unknown background of patient anatomy, KCR is shown to provide a dramatic improvement over conventional filtered-backprojection and various metal artifact reduction approaches. 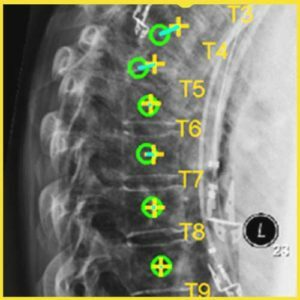 Results are shown in the context of spine surgery, where KCR allows imaging in the presence of spine screws and allows confident visualization of devices in proximity to the spinal cord and other critical structures. The method creates an interesting new framework for image reconstruction in a broad spectrum of applications in which known components are present in the image – for example, medical devices such as needles, screws, rods, and prosthetic implants. Four presentations at CARS Berlin, June 22-25, highlight recent advances in image-guided surgery and diagnostic radiology from the I-STAR Lab. Dr. Sebastian Schafer will present results in the use of C-arm cone-beam CT to guide thoracic surgeons to subpalpable lung tumors (abstract). Jongheun Yoo’s work on an x-ray compatible electromagnetic tracker (abstract).Best Student Poster Award! Dr. John Carrino presents the development of the novel scanner prototype (abstract), now deployed for pilot studies at Johns Hopkins University. Sajendra Nithiananthan and co-authors gave the popular “Demons” algorithm for 3D deformable registration a workout in a recent Medical Physics article (pdf). The conventional Demons algorithm relies upon the moving and fixed images having equal voxel value (“intensity”) for agiven material – for example, in registering one CT image to another. 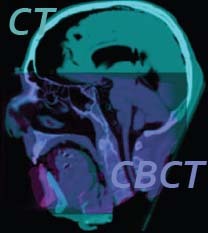 Registering CT to CBCT, however, violates this requirement, since CBCT voxels are often uncalibrated in Hounsfield units and suffer a variety of artifacts and inaccuracies. A straightforward application of the Demons algorithm in CT-CBCT registration is shown to result in significant spurious distortions of the image. 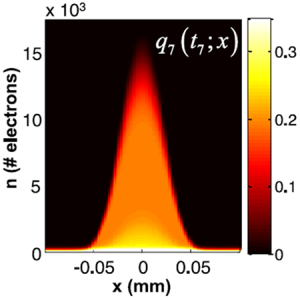 A simple histogram match prior to registration helps but was similarly prone to distortion. By incorporating an iterative intensity match between CT and CBCT voxels directly within the Demons algorithm,Sajendra realized a new Demons variant that is free from spurious distortion, geometrically accurate to the level of the voxel size, and extremely robust against intensity differences and shading artifacts. 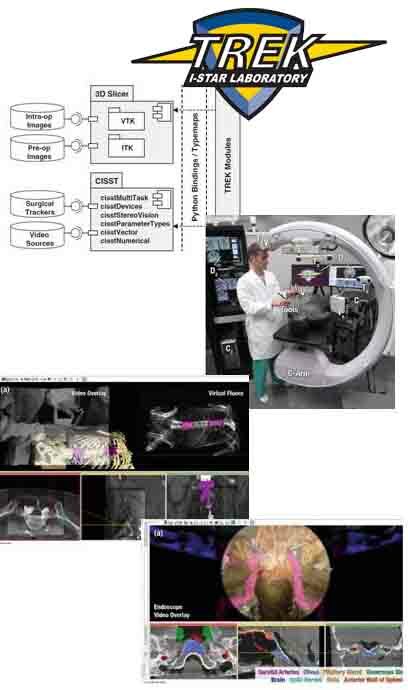 A new software architecture for image-guided surgery has been developed in the I-STAR Lab for integration of intraoperative 3D imaging with systems for surgical tracking, video augmentation, and analysis. Ali Uneri (PhD Student, Department of Computer Science) used open-source libraries for surgical navigation (Hopkins cisst libraries) bound to front-end visualization and analysis in 3D Slicer to achieve a flexible, modular architecture that can be rapidly adapted to various application-specific tasks and workflow scenarios. 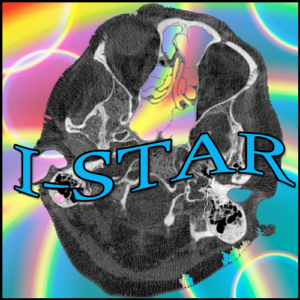 The software forms the platform for I-STAR research in surgical navigation in CBCT-guided procedures ranging from orthopaedic to skull base and thoracic surgery. 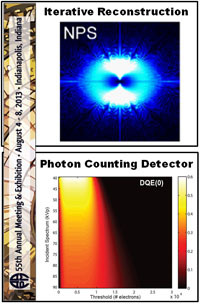 The work was reported in proceedings (pdf) of the SPIE Medical Imaging Symposium 2011 (Orlando FL). I-STAR Presentations Kick Off the New Year! Dr. Web Stayman leads a new collaborative project on advanced 3D image reconstruction for tomosynthesis . For thoracic imaging, tomosynthesis promises to overcome conventional limitations of radiographic image quality by providing 3D information from a small number of projections. Using advanced iterative 3D reconstruction methods, Dr. Stayman hopes to unlock a wealth of previously untapped potential in tomosynthesis, including improvements in image quality, incorporation of prior information, and reduction of radiation dose. The research leverages an aresenal of high-speed computational techniques developed in the I-STAR Lab for high-performance, practical implementation of iterative 3D reconstruction, some summarized here. Dr. Jeff Siewerdsen presented three talks on behalf of the I-STAR Lab at the Annual Meeting of the Radiological Society of North America (RSNA). The first concluded an educational series on image quality in cone-beam CT. Reprints are available here. The second reported the development of a dual-energy radiography system using a wireless portable DR detector. The third presented the design and initial performance of a deciated cone-beam CT scanner for musculoskeletal extremities imaging. Photos from the RSNA meeting are available here. Dr. Carrino – a Top Doc! Baltimore Magazine’s 2010 list of top doctors includes Dr. John Carrinoamong the physicians identified as the best in the region – no small accomplishment, considering the caliber of hospitals and healthcare professionals in and around Baltimore. 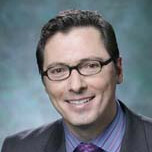 As Chief of the Section of Musculoskeletal Radiology at Johns Hopkins Hospital, Dr. Carrino is an renowned clinician and researcher in areas ranging from diagnostic imaging to interventional procedures. See the full article in Baltimore Magazine. Congratulations to our Top Doc! A recent article in The Journal of Physics and Medicine in Biology (Junguo Bian et al., “Evaluation of Sparse-View Reconstruction from Flat-Panel Detector Cone-Beam CT”) shows the latest results from collaboration between the University of Chicago and Johns Hopkins University. The work evaluates several advanced iterative reconstruction techniques operating on sparse projection sets, including expectation maximization, compressive sensing, and total variation minimization. Image quality is evaluated using real image data over a broad range of experimental conditions, and the potential for fast and/or low-dose cone-beam CT is quantified. While conventional filtered backprojection breaks down for sparse projection sets, the work points to the enormous potential of such iterative reconstruction techniques in the future of CT reconstruction. As of November 1, the paper is both a “Featured Article” and is among the MOST-READ articles in PMB over the last month. See the full article in The Journal of Physics and Medicine in Biology (PMB). 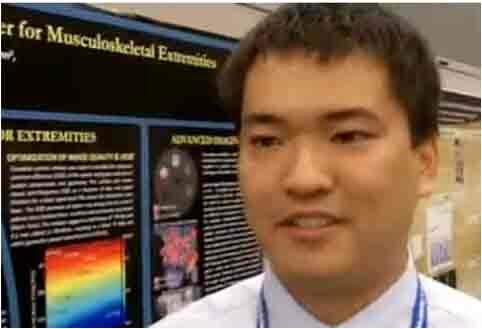 The article was also cited in Medical Physics Web for its potential in low-dose cone-beam CT.
At the annual meting of the Biomedical Engineering Society (BMES) in Austin TX, Yifu Ding presented the latest research in development of a dedicated cone-beam CT scanner for imaging of extremities. The scanner will provide high-resolution images with soft-tissue visibility for MSK radiology and orthopaedics. Trials are scheduled to begin at Hopkins in 2011. Watch Yifu’s interview online on . Enduring Impact – Congratulations, Dr. Taylor! I-STAR Collaborator Dr. Russ Taylor was awarded the 2010 MICCAI Society Enduring Impact Award by the Medical Image Computing and Computer Assisted Intervention Society at the 2010 MICCAI conference in Beijing, China. This prestigious award is given annually in recognition of research leadership. 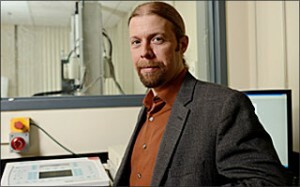 Dr. Taylor is a founding member of the MICCAI Society (http://www.miccai.org) and was named a MICCAI Fellow in 2009. Congratulations to Russ on this much deserved award recognizing his extraordinary research and leadership in medical imaging and computer-assisted intervention! Of course it did — you’re looking at it! Our goal was simple functionality with useful content and fun. Built using Dreamweaver with thanks to Valeria Costadoni for her expertise in laying out the site. I-STAR Collaborator Dr. Jay Khanna and the winning CBID Design Team participated in the NASDAQ closing bell ceremony! Dr. Khanna supervised Christopher Komanski, Nicolas Martinez, Evan Luxon, Jason Hsu and Stephanie Huang, whose team won numerous prizes in entrepreneurial competitions around the country in 2010, including Michelson Grand Prize and the Wharton Business Plan Competition. The team has launched Cortical Concepts, an endeavor based on an innovative spine screw “anchor” designed to provide improved fixation in patients with osteoporosis. 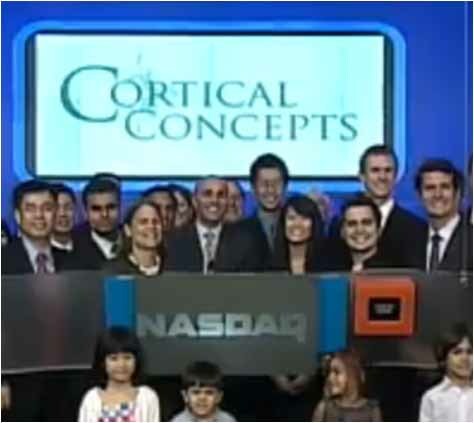 Watch the of Dr. Khanna, the CBID Team, family, and friends at the NASDAQ Closing Bell! Aunt Minnie (auntminnie.com) reported on some of our recent work in developing high-quality dual-energy imaging capabilities for portable radiography. Thanks to Paul De Jean, Yifu Ding, and Carestream collaborators for their great work on this project. I-STAR Summer Barbecue a BLAST! Warm sun, fun, and food marked the I-STAR Lab’s Summer Barbecue at Downs Memorial Park south of Baltimore. – And an even meaner game of soccer! – Debut of the I-STAR T-Shirts! The grand prize in the Beer Pong Trivia contest went to Ali Uneri — Congratulations, and enjoy the high-tech headphones! 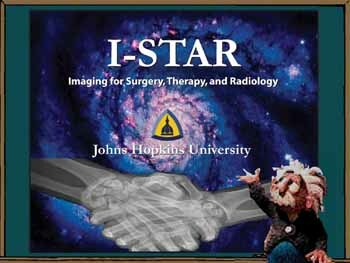 The I-STAR Lab celebrated its first anniversary at Hopkins on July 1, 2010! It has been a fantastic year – a new lab space, new collaborations, fantastic students and staff, and a new home in Baltimore! 2. Fun, friends, warm weather, and great food in Baltimore!